The Bangladesh during the year 2002 faced the challenge of sustained while addressing the budget deficit and accommodative monetary policy. This resulted in erosion of foreign exchange reserve to an uncomfortably low level. The foreign exchange reserve held by Bangladesh Bank stood at US $1509.9 million at the end of November 2002 as against US $1788.6 million at the end of October 2002. During the month of December, the foreign exchange reserve had shown some improvements due to higher remittance from expatriates working in different countries of the world. During July to October 2002, the workers remittance increased by US $240.8 million or 32.94% and reached to a level of US $971.76 million as compared to US $730.99 million during July-October 2001. To contain deterioration of foreign exchange reserves, Bangladesh Bank tightened its monetary policy and also temporarily imposed mandatory margin requirement on many importable items for domestic consumption. The Bank rate was lowered from 7% to 6% towards easing the high borrowing cost of investors in a low inflation environment. As a result, the commercial Banks in the country reduced their lending rates in a competitive market scenario. These measures enabled a higher credit growth of 13.90% in the private sector and 10.51% in the public sector of the country. Broad Money (M-2) increased by Tk.5,679 million to 0.56% to Tk.1,021,548 million during October, 2002. During July to October 2002, the broad money increased by Tk.35,388 million or 3.59% with increase in the net foreign assets by Tk.9,237 million. Inflation measured in 12 months average increased the consumer price index which stood at 2.92% on September 30, 2002 compared to 2.35% in June, 2002. Domestic credit increased by 2.93% from July to October 2002. The increase was mainly on account of the private sector which contributed 3.76%. According to Bangladesh Bureau of Statistics estimation, the real GDP growth slowed down from 5.3% of the financial year 2001 to 4.8% during the financial year 2002. The decline is mainly in agricultural sector contributing about a quarter of the GDP. In the industrial sector particularly in the small scale industries, there had been some gains in growth rate but large and medium scale manufacturing industries and other sub-sectors experienced lower growth. The weakness mainly arose from poor export performance. The banking sector more particularly the private sector banks of 1st to 3rd generation made significant progress and growth in terms of specialized services through introduction of new products and switching over to electronic banking keeping pace with developed countries of the world. The 30 banks in the private sector made a total operating profit of Tk.13,140 million and growth rate was around 5% which might be termed ad encouraging in the backdrop of worldwide recession. Bangladesh bank has been playing the all important role for bringing out the discipline and dynamism in the banking sector of the country. It has remarkably strengthened its supervision over the Banks. Reform programs to stamp out ills from the banking are also being implemented. Default-culture is seriously retarding the growth of the national economy. Due to stringent supervision and control being exercised by Bangladesh Bank, there had been a significant reduction in the percentage of classified loans in the banking sector. The primary objective of this part of the report is to make the reader familiar with the overall scenario of the banking sector as well as the organization itself. One of the major objectives of this part is to give an extensive view about the financial performance of the Southeast Bank Limited (SBL). In order to get he information about the organizational part, the main source that has been used is the primary source. In depth interview with the staff of different divisions regarding their job, their service, the products that they offer and various other things were gathered from them. Frequent visit and close interaction with the various divisions was very much helpful for the preparation of this report. 1. Annual Reports of Southeast Bank Limited, Dhaka Bank, Prime bank, National bank. The scope of this part is limited to the overall scenario of the organization. This part has covered the different divisions of Southeast Bank, the products offered by Southeast Bank Limited and the major functional areas of the bank. The present scenario of the banking industry is also covered in this part. A financial analysis of Southeast Bank Limited is also covered in this part. Like most of the banks, SBL also does not provide access to all kinds of information for secrecy purposes. Moreover, officials and officers are very much busy with their work to give required time. So, in some cases, observation and some extent of assumptions were needed. Due to lack of job experience, faults may have arisen in the report though maximum effort has been given to avoid any kind of mistake or uncertainty in preparing this report. Making a comparative study needs information from different leading banks of the country and getting those information from different banks is a very tough job in reality, because most of the banks do not provide information for study purposes to the students from different organizations and institutions. Some of the information that were used are not recent as the latest information regarding those issues were not accessible and open to all. Only authorized person can get those information. Time constrain was also one of the major limitations while preparing this part as the total report is quiet a long one so allocation of time to the organizational part was really short. The significance of this part is that it gives a good idea about the overall knowledge about the Banking sector. It also provides extensive idea about the organizational part of SBL and its performance in comparison with the industry performance and also to the private commercial banking sector of Bangladesh. The emergence of Southeast Bank Limited (SBL) was at the juncture of liberalization of global economic activities. The experience of the prosperous economies of the Asian countries and in particular of South Asia has been the driving force and the strategic operational policy option of the Bank. The company philosophy – “A Bank with Vision” has been precisely an essence of the legend of success in the Asian countries. Southeast Bank Limited, “A Bank with a Vision”, emerged as a 2nd Generation Commercial Banking Industry of Bangladesh in the year 1995. It was incorporated on March 12, 1995 as a public limited company according to the Companies Act 1994. The commencement of its banking business occurred on May 25, 1995 by the Principal Branch located at the Annex Building, 1 Dilkusha Commercial Area, Motijheel, Dhaka. The Head Office of the Bank is also located at the same address on the 3rd floor of Annex Building. The Bank started with an authorized capital of Tk. 500 million and paid up capital of Tk. 100 million. Southeast Bank Limited started its business with the inaugural Chairman Mr. Mohammad Abul Kashem, Vice Chairman Mr. Ragib Ali and the first and former President and Managing Director of the Bank Mr. Syed Anisul Haq. Southeast Bank Limited is a scheduled commercial bank in the private sector, which is focused on the established and emerging markets of Bangladesh. Southeast Bank Limited has 21 branches throughout Bangladesh and its aim is to be the leading bank in the country’s principal markets. The branches are situated in the prime business locations of Bangladesh. Among the 21 branches, 10 branches are in the capital city Dhaka, 4 in the port city Chittagong, 3 in Sylhet, 1 in Khulna, 1 in Moulvibazar. The other 2 branches are opened in 2003 and with Islami banking concept which are operating in Feni and Cox’s Bazar. The bank by concentrating on the activities in its area of specialization has achieved good market reputation with efficient customer service. The Bank is committed to providing continuous training to its staff to keep them up to date with modern practices in their respective fields of work. The Bank also tries to fulfill its share in community responsibilities. By such measures, the Bank intends to grow and increase shareholders’ earning per share. Southeast Bank Limited pledges to maximize customer satisfaction through services and build a trusting relationship with customers, which has stood the test of time for the last eight years. To stand out as a pioneer banking institution in Bangladesh and contribute significantly to the national economy. Management Strategies: The deposit schemes of SBL include current, savings and fixed deposits. In line with other banks in the peer group, this Bank has also introduced several attractive savings packages like pension savings scheme, education scheme and savers benefit deposit scheme. SBL has a wide cluster of lending packages, which include commercial lending, working capital, house building loan, small medium and large scale industry loan, loan against export and other consumer loans. SBL has always been one of the major players in the country in promoting diversified banking services. Over the years it has provided sincere and timely services through the innovation of multifarious modern banking products. The major areas where SBL provides financing facilities are corporate banking, micro credit financing, investment in house building financing companies and various loan syndication. SBL has introduced SWIFT to facilitate quick fund transfer and Reuter to facilitate foreign exchange trading. With eight other banks this bank gives its customers the facilities of shared ATM services throughout day and night i.e. 24 hours banking. The business strategy of SBL is to strengthen its traditional lending in small retail business, following a conservative lending approach in the areas of large and medium industrial ventures. The management approach of maintaining loan quality is also appreciable. Although Bangladesh economy is led by garments sector, it is worth nothing that he exposure of the Bank in this sector is negligible. Therefore, the existing depressed scenario of garments will have little impact on the Bank. The Bank is constrained by limited branch network. Realizing the importance of this network for its entity to low cost saving deposits, the Bank has taken a dynamic step for opening additional branches. Till such time having adequate branch network, the Bank needs effective communication system including advance online banking with the existing branch network for information flow as a part of its management strategy. Marketing Strategies: As the bank has expertise in loan and club financing, SBL management wants to attract more corporate clients to avail their financing facilities of this nature in the years to come and thereby system the growth of the loans of this type. SBL also targeted small and medium scale entrepreneur (SMEs) in the coming years is in the process of signing with SEDF (South Asian Entrepreneur Development Fund) in collaboration with the World Bank and few other donor agencies for technical and training assistance. The Bank has a plan to explore the market in future through exposing several loan schemes in IT sectors and various SMEs. SBL’s export, import and guarantee businesses have been growing at a good pace since its inception. Although the figures shows that SBL has been doing pretty well compared to the peers, but it have to go a long way in the future to keep pace with the like banks. Mr. Azim Uddin Ahmed, a prominent businessperson and industrialist is the Vice Chairman of the Board of Directors of Southeast Bank Limited. He is the Chairman of Mutual group of Companies and firms and sole agent of “Dano” and “Horlicks” brand milk food in the country. He is founder Life Member and former Chairman of North South University, founder of Azimia Islamia Senior Madrasha, Duluma Azim High School, Ali Akbar High School and also associated with different social organizations as founder and donor. He has contributed a lot for development of educational institutions in his village home. He was an active member of Executive Committee of FBCCI & DCCI for many terms and founder President of Bangladesh Indenting Agents Association. He is the Past President of Gulshan Club, Rotary Club (Dhaka North) and also an active member of other social service organizations. Mr. Ragib Ali, a prominent industrialist, business entrepreneur and philanthropist is the present Chairman of the Board of Directors of Southeast Bank Limited. Mr. Ali is the pioneer in tea plantation in Bangladesh having more than seven tea gardens in Sylhet, Chittagong and Tetulia, North Bengal and he is one of the largest producers of tealeaves in the country. He is also the Chairman and Managing Director of Kohinoor Silicate Industries Ltd. and Kohinoor Detergent Factory, producer of JET Washing Powder known by its name throughout the country. He has contributed significantly for various social services and founded a Medical College and 500-bed hospital and a University named as Leading University in Sylhet, constructed numerous Roads, Schools, Colleges, Madrashas and Mosques. He is the Founder President of Moulvibazar Chamber of Commerce and Industries and Founder of Sylhet Muktijoddha Kallyan Trust and also associated with North South University, Asia Pacific University, Continental Hospital and other social services organizations in the country. Mr. M.A. Kashem is a renowned industrialist and business entrepreneur of the country and is the founder Chairman of Southeast Bank Ltd. He is the Chairman and Managing Director of Mutual Jute Spinners Ltd. and JK Group of Companies. He is the former President of the Federation of Bangladesh Chamber of Commerce & Industry. He is a very successful exporter of the country and was awarded “The President’s Export Gold Trophy” consecutively twice for his contributions towards boosting export trade. For his valuable services in the field of industry, he was awarded CR Das Gold Medal. Mr. Kashem headed several Government, FBCCI, UNDP and EEC Trade Delegations to various countries of Europe, USA, Canada and Far Eastern region including China. He is the Chairman of North South University Foundation and one of the Founder Members of North South University that is the first private university in the country. Mr. M.A. Kashem is associated with various social and philanthropic organizations and established many religious and educational institutions. Mr. Yussuf Abdullah Harun, a prominent industrialist and business entrepreneur of the country. He has a brilliant academic career and is a Chartered Accountant from England and Wales (FCA). Mr. Harun is the Vice President of SAARC Chamber of Commerce and Industry and Former President of the Federation of Bangladesh Chamber of Commerce and Industry, Director of Infrastructure Development Company Ltd. and Member, Board of Governors of North South University. Recently Government of Bangladesh has selected him to head the organization “Matching Grant Facility Management Board” as its Chairman to accelerate the pace of industrialization in the country. He is associated also with a host of companies in the country – manufacturing cement, edible Oil, PP Bag, particle board, C.R. coils, etc. as Chairman, Managing Director and Director. Besides, he is involved with many social and charitable organizations as donor and life member. Mr. Mohammad Abu Tayub is a graduate from Chittagong University and started his career as an importer and general merchant. After liberation when there was a crying need for setting up of industries in the country he took initiative to set up industrial projects in Chtitagong area and so far established 32 industrial units where about 6,000 people are employed. He has established industries for production of edible oil, particle board, polypropylene products, polytex yarn products, garments, leather, vanaspati, chemical sacks, containers, timber, beverage, tea, cement etc. He has established the biggest paper mill in private sector named as T.K. Chemical Complex Ltd. situated in Boalkhali, Chittagong. He is the Chairman and Managing Director of Chittagong Cement Clinker Grinding Co. Ltd., the largest and renowned cement factory in Bangladesh. He is the Chairman of T.K. Group of Industries at Chittagong. He is a well-known philanthropist of his area and has established schools, madrashas and hospitals at his village Mansha in Chittagong district. He is associated with numerous social and benevolent organizations as donor and life member. Mr. Jalalur Rahman is one of the leading shipping business entrepreneurs of the country. He is the Chairman of Dynamic Shipping Lines Limited, Orient Maritime Limited and Chairman and Managing Director of Magnet Associates Limited. Dynamic Shipping Lines Ltd. is involved in shipping agency, ship brokerage and stevedoring in the Chittagong Port. Magnet Associates Limited is in the business of trading of bulk commodities and industrial raw materials and specially in providing various turn-key industrial projects. Mr. Rahman is the Chairman of SSA Bangladesh Limited, a joint venture company between Orient Maritime Limited and Stevedoring Services of America (SSA) Inc, USA. Dhaka. Mr. Jalalur Rahman is a graduate from Dhaka University. He has established many schools, colleges and madrasas and is a regular donor to various educational institutions. Mr. Md. Akikur Rahman is the Vice Chairman of Bangla German Latex Company Ltd., a joint venture industrial enterprise for production of latex with German Collaboration having factory at EPZ, Savar. He comes of a respectable Muslim family of Sylhet and settled in England for business some thirty years back. He is engaged in catering and real estate business in London. An Indian Food Restaurant named Curry House Cottage in Surrey, U.K. wholly owned by him is in operation since 1982. He has shopping and housing complex in Bridge Street, Surrey, U.K. and also in Shibganj Bazar, Sylhet named as Moushami Shopping Complex. Mr. Syed Shahid Ali is in catering business for more than three decades. He left for the United Kingdom 35 years back and had his early general education in London. He is the Managing Director of Mark International Ltd. of Hems Street, London doing import business with reputation. The company was established in the year 1985. He is also the owner of Freehold Commercial Properties at Golders Green, South Ever Banks, Contra Nitin Road, London. Besides hotel business, he is also in import, export and real estate business in London as well as in Sylhet. Mr. M. A. Ahad comes of a respectable Muslim family of Roynagar, Rajbari, Sylhet. He left for England more than four decades back and had general education in London. He is British citizen by naturalization and is engaged in real estate business in London since 1963. He has commercial property at Cobham and Byfleet Surrey, London. Mr. Mostori Miah hails from a respectable Muslim family of Sylhet. In his early years he went abroad and settled in U.K. and had his general education in London. He is engaged in catering, travel agency and real estate business in London and Bangladesh. He is the Chairman and Managing Director of Hotel Hill Town Ltd., Telli Haor, Sylhet. He has real estate in High Croft Gardens and Hanbury Street, London. He has a travel agency in London in the name of Janata Travel Agency. Mrs. Jusna Ara Kashem is a Director of Mutual Jute Spinners Ltd. and Rose Corner Pvt. Ltd. She is also holding appreciable shares in associated companies, firms, and business establishments under the JK Group of Companies. She is a great exponent of education and is associated with a number of schools, educational institutions in her locality as donor and life member. Mrs. Duluma Ahmed is the Director of Mutual Foods Products Ltd. and Mutual Trading Co. Ltd. She is also holding major shares of its associate companies. She is actively associated with a number of socio-cultural organizations in the country holding different positions of importance. She is the founder of Duluma Azim High School at Feni. Besides this, her contributions are spread out in many other institutions, mosques, madrashas, maktabs and schools of the area. Mrs. Rehana Rahman is the Chairperson of Knitex Dyeing and Printing Ltd., a 100% export oriented knitting, dyeing and printing factory. She is also the Managing Director of Bengal Tradeways Ltd, a concern engaged in deep tubewell drilling and real estate. She is the Vice-Chairperson of the Board of Governors of North South University. She is an active member of a number of social service organizations. Syed Abu Naser Bukhtear Ahmed joined Southeast Bank Limited as President and Managing Director on 30 May 2002. Prior to his joining Southeast Bank Limited Mr. Ahmed was with Prime Bank Limited as acting Managing Director since 22 November 2001. Mr. Ahmed had played a significant role in the growth and profitability of Prime Bank Limited during the last three years of his tenure with the Bank since 10 April 1999 and led Prime Bank Limited as a dynamic and progressive institution in the banking industry in Bangladesh. Mr. Ahmed obtained his Masters degree in Business Administration (MBA) from the Institute of the Business Administration, University of Dhaka in 1969. He graduated from Notre Dame College, University of Dhaka with a Bachelor of Science degree in 1967. Mr. Ahmed joined the State Bank of Pakistan, Central Directorate in Karachi as a Grade-1 Officer where he worked in numerous division viz. Policy, Implementation, and Inspection Wing of Banking Control Department. After the Independence of Bangladesh, he joined the Bangladesh Bank in Dhaka where he worked in the Banking Control Department and in the Board Secretariat Department. Mr. Ahmed left the Bangladesh Bank, Dhaka in September 1974 and joined the U.A.E. Central Bank in Abu Dhabi. He held various positions in the Foreign Exchange Department, Internal Audit Department and Bank Supervision and Inspection Department in Abu Dhabi, Dubai and Sharjah. He was a member of Banking Supervision Committee, which was composed of the Senior Staff Members of the Banking Supervision and Examination Department and chaired by H.E. the Governor of the U.A.E. Central Bank. Responsibilities of the Committee included advising the Board of Directors in formulating policies and guidelines with regards to supervision of Banks and other financial institutions operating in the U.A.E. and promulgating laws relating to Banking Operations in the U.A.E. Central Bank. He left the U.A.E. Central Bank in September 1995, after completing 21 years of service with the organization. Mr. Ahmed has had over 32 years of diversified Banking and Auditing experience including positions at the Central Banks of 3 countries viz. Pakistan, Bangladesh and the United Arab Emirates and two leading private Commercial Banks in Bangladesh viz. Arab Bangladesh Bank Limited and Prime Bank Limited. He has attended many Seminars, Workshops and Training courses in Bangladesh and abroad including programs such as Capital Adequacy and Solvency, Asset Liability Management Function, Evaluation of Management, Measurement of profitability System, Evaluation of Credit Risks. Mr. Ahmed is the Vice President of the Institute of Business Administration Alumnae Association and a life member of a professional body – MBA Association and also member of various social and cultural organizations and clubs. Mr. M. A. Muhith started his career October 22, 1970 in United Bank Limited (later converted into Janata Bank, Bangladesh) as Grade II Officer. In the year 1983, he joined National Bank Limited at the initial stage of the Bank as Assistant Vice President and held various responsible positions. He was promoted to the position of Vice President in 1986 with the assignment of Regional Head, Sylhet Region. Subsequenty, upon promotion to the post of Senior Vice President, he was made the Manager, Foreign Exchange Branch, Dhaka. Mr. Muhith has joined Southeast Bank Limited as Senior Executive Vice President on September 01, 1998 and promoted as Deputy Managing Director with effect from January 01,2002. Syed Imtiaz Hasib obtained his Masters degree in Political Science from the University of Dhaka in the year 1975 and started his Banking career with the Bank of Credit and Commerce International (Overseas) Limited (BCCI) in September 1976. He was promoted as a Senior Manager Grade III in September 1989 and was holding the charge of the Main Branch of BCCI until its closure in July 1991. Mr.Hasib joined Eastern Bank Ltd. as First Vice President (later redesignated as Senior Vice President) since it’s opening and was posted as the Manager of its Principal Branch. In 1994, he took over the charge of the International Division. Mr. Imtiaz Hasib joined Southeast Bank Limited on May 15, 1995 as Senior Vice President and was subsequently promoted as Executive Vice President and Senior Executive Vice President effective from January 01, 1999 and January 01, 2002 respectively. Presently he is the Head of International Division of the bank. Mr. Md. Mosharraf Hossain, after obtaining a degree in Commerce from Nazimuddin College in Madaripur in the year 1968, joined Eastern Banking Corporation Limited (renamed as Uttara Bank Limited after independence of Bangladesh) as a Development Officer. In 1983, he joined National Bank Limited as a Grade III Officer. He joined National Credit and Commerce Bank Ltd. (NCCBL) in 1985 as Senior Principal Officer and was promoted to the position of Vice President and posted as the Manager, Agrabad Branch as well as the Area In-Charge. He left NCCBL in 1996 and joined Southeast Bank Limited as Senior Vice President and Head of Agrabad Branch. He was promoted as Executive Vice President in January 1999 and Senior Executive Vice President effective from January 01, 2002. He is still serving in the same Branch. Graduated from Dhaka University in the year 1961, Mr. A.K. Qureshi joined the then Commerce Bank Ltd. of Pakistan as Probationary Officer in the year 1964. He was absorbed in Agrani Bank after liberation when Commerce Bank Ltd. and Habib Bank Ltd. merged and was renamed as Agrani Bank. He worked in Agrani Bank for nineteen years in different areas of commercial banking activities. He joined the United Commercial Bank Ltd. as Assistant Vice President during the formative stage of the Bank in the month of March 1983 and held different responsible positions at Head Office and Branches. Joined Al-Baraka Bank Bangladesh Ltd. as Senior Assistant Vice President in the month of January, 1988 and was assigned with the responsibility to work as Secretary to the Board of Directors since joining. He was promoted to the position of Vice President in the month of January 1989. He joined the Southeast Bank Limited in January 1995 and all preliminary activities for establishment of the bank was entirely under his supervision. He was promoted to the position of Senior Vice President in August 08, 1996. In January 1999, he was promoted to the rank of Executive Vice President. He is the Company Secretary of the Bank since 1995. Mr. Mahbubur Rashid, after obtaining an Honours degree in Commerce from Dhaka University in the year 1968, joined First National Bank of New York in Karachi on March 31, 1969 as an Executive Trainee. On resigning from FNCB, he joined Habib Bank Limited, Karachi as a Senior Officer on September 1, 1970. Worked in various branches at Karachi, Chittagong and Dhaka in different capacities including that of Manager of a number of Branches. After liberation, worked in Computer Division and International Division, Agrani Bank, Dhaka. On September 16, 1976 he joined BCCI and worked at Chittagong, Dhaka and Hong Kong for fifteen years. He joined Southeast Bank Limited on May 25, 1995 as Senior Vice President. He was subsequently promoted as Senior Executive Vice President and is presently working as Head of Financial Control and Accounts Division, Head Office, Dhaka. He has been a guest speaker at different business schools and is an occasional contributor to national dailies. The foreign exchange business includes issuance of Letter of Credit (L/C), Foreign Demand Draft (DD), Foreign Telegraphic Transfer (TT), Inward Remittance, Import and Export Financing etc. Investment services of the Bank includes Small Business Investment Scheme, Housing Investment Scheme, Small Transport Scheme, Transport Investment Scheme, Car Loan Scheme, Rural development Scheme and etc. Deposit: The prime function of the Bank is to collect money from the clients in the form of deposits. Different types of deposits accounts are open by clients to get different types of benefits from the account. In the deposit mix, the Bank earns most from fixed deposit. The other deposits that are performing well are savings deposit and current deposit. Loans and Advances: The other major function of the Bank is to give loans and advances to the clients from the money that they collect as deposits. The main income of the Bank comes from the interest income that they earn from these loans and advances. The Bank offers different types of loans and advances to the clients from different purpose. Detail function of loan and advances are described in the project part of this report. Investments: Investment is one of the other functions of the Bank that is common to all the Banking institutions. The investment portfolio of the Bank includes Government Treasury Bills, Prize Bonds and shares in Public Limited companies etc. The bank has always given emphasis on investment of Funds in highly yield areas simultaneously maintaining Statutory Liquidity Requirement (SLR) as fixed by Bangladesh Bank. Treasury Operations: The treasury operations had long been considered as an important avenue of income generation for the Bank. The foreign banks operating in Bangladesh earn a considerable amount of their profit through treasury operations. With automated Reuters Terminal, the Bank has been able to develop its infrastructure capabilities for treasury dealings. The Bank has taken necessary steps for treasury dealings more adequately for meeting the demands of the customers. 6.1 Financial Control and Accounts Division (FCADs): One of the most important department of Bank or any institution is the Finance and Accounts Department. The main functions of this department are discussed below in a very brief manner. 6.2 Credit Division: The Credit Division of Southeast Bank limited is divided in two parts. (i) General Credit (ii) Corporate Finance.  Preparation & Submission of periodical returns to Bangladesh Bank.  Follow up for recovery of over dues.  Remittance, for payment to beneficiaries.  Letters of Credit, Advising, Confirmation, Negotiation, Acceptance, Payment, Bill, Cheque Collection.  Guarantees, issuance of, including performance bonds, etc.  Test keys / Specimen Signature Books for authentication of messages.  Extending and granting credit lines to correspondent banks for confirmation of their L/Cs, issuance of Guarantees, Money Market, FX Dealings etc.  Obtaining credit lines from Correspondent Banks as above.  Maintaining / monitoring record of credit lines obtained / utilized.  Compile and circulate the foreign exchange circulars to the branches.  Recruitment, Selection of Manpower and Manpower Planning.  Arranging and imparting training for Human Resources Development.  Placement, Performance Evaluation, Increment, Promotion, Incentive Schemes etc.  Preparation of Board Memo and Implementation of Board Decisions.  Monitoring / Supervision of overall computerized banking operations.  System Administration Data processing and Data Entry.  Software Development and Maintenance.  To arrange Printing & Purchase of Security / General stationery.  To arrange efficient Utility Services.  Transport pool, Protocol etc.  Cost Benefit Analysis of existing banking products and development of new products.  Mass Media and Event Management.  Internal Audit and Inspection.  Compliance / follow up and monitoring of internal inspection.  Monitoring of General Bank’s Inspection / External Audit Report.  All the works that are related to the ATM card like managing the credit and debit balance of a client.  Maintaining correspondence with the branches regarding different clients of ATM card.  Works related to customer and vendor management.  Arranging / conducting of Board, EC meeting.  Preparations of minutes and implementation of Board decisions.  Issuance of Bank’s share etc. Sound Profitability and growth with good internal capital generation. Experienced and effective Management Team. Good corporate culture and friendly working environment. High concentration of fixed deposits. Lack of effective marketing / promotional activities. High concentration of large loans. Scope of market penetration through diversified products. Increasing trend in international business. Introduction of credit card and Tele-banking. Value addition in products and services. Increased competition for market share in the common banking arena. Market pressure for lowering the lending rate. Global and local unstable political situation. Multinational banks with good services. Default culture all over the country. Risk of entry by potential competitors: The financial sector of Bangladesh nowadays is growing more and more with the introduction of new financial institutions like leasing company, insurance companies and other. These companies may diversify into banks. So there is always an element of risk that potential competitors may enter into the banking sector. Threat of substitute products: As it has been mentioned that the financial sector of Bangladesh is growing rapidly because of the new institutions that are coming up and creating an impact in the banking arena. These institutions like leasing companies, insurance companies ant others are performing the tasks of banks and offering the products and services that banks use to provide to their clients. As a result, these companies are working as a substitute in place of banks. So, in a way these companies are a threat to Southeast Bank Limited. Bargaining power of suppliers: The suppliers of SBL are the people who provide different types of office equipment, furniture and other things that are required by the banks. The bargaining powers of the suppliers are in the lower end because there are lots of suppliers present in the market who supplies these types of products to different organizations. As a result the buyers that the bank have enough choice to compare between suppliers regarding price and quality. Bargaining powers of buyers: The buyers of SBL are its clients who use to take loan, deposit their money and others. The bargaining power of the buyers here is quiet high as more and more banks are coming up and this has created excess supplies in the market and so the buyers have lots of option to choose from. So in order to attract and retain customers the banks have to compromise with the buyers. Rivalry among established firms: There are lots of private commercial banks that are doing quiet well in this banking sector. 1st Generation banks like National Bank, City Bank, Al-Baraka Bank and etc., then 2nd Generation banks like Dhaka Bank, Dutch-Bangla Bank, National Credit and commerce Bank, Southeast bank which are already established in good reputed commercial banks along with other multinational banks and 3rd and 4th Generation banks have a rivalry among themselves. Southeast Bank Limited had to face this intense rivalry among these banks. Amid many challenges, adverse economic conditions and market scenario during the year 2002, the Bank maintained its growth trend through the indicators like profitability, asset utilization, network expansion and etc. Basing on convincing reasons, it is strongly believed that in the coming years also, the Bank would be able to sustain its earnings capacity and maintain a steady profit growth as profit iss the main thing at the end of the day. To gain strength, the Bank has purchased a total floor space of 23403 sft. at Eunoos Trade center at Motijheel for its Corporate Branch. The Bank has also purchased other spaces at other places over Bangladesh in order to expand its network and business as well as making a strong customer base. Southeast bank has already started its new product of Islami Banking which is supposed to better and the Bank aims to expand its Islami Banking to some to the other places over Bangladesh very soon. SBL is the first Bank in the country to use VSAT (Satellite Based Communication System) at all its branches over the country and thereby introduced the new product of “Realtime Online Any Branch Banking Service” for cash withdrawals, deposits, electronic fund transfer, balance inquiry, account statement etc. by customers. Bank is also making headway for introduction of credit card operations for clients. Bank intends to enter into agreement with reputed Exchange Companies in USA, UK and UAE for safe flow of foreign remittances into the country from Bangladesh expatriates working to those places. There are currently 4 NCBs (Nationalized Commercial Banks), 7 Specialized Banks, 15 Multinational Banks, 20 PCBs (Private Commercial banks) (including 5 Islamic banks) and 21 Non-banking financial institutions operating in Bangladesh. The 20 PCBs hold 30% of the loans, and 28% of the deposits of the banking system. A moderately expansionary monetary policy was pursued in 2000/2001 by the government of Bangladesh, with the objective of achieving a thrust in the economic activities, with controls on the price inflation. With a significant increase in the overall agricultural production (mainly food crops) for the last three years at a low rate of inflation, effective demand has increased, especially in the rural economy. This was reflected in the substantial rise in the private sector credit, by 7.4% in the first half of 2001, and then by 16.9% in the second half of the year. Overall, domestic credit went up by 17.7% during 2000/2001. To keep money and credit expansion within planned levels, the supply of reserve money was regulated during the year with auctions of government treasury bills of different maturities. Reserve money increased by 10.9% during the year. The faster expansion in domestic credit, with simultaneous slower growth of reserve money, was mainly due to the 14.9% decline of net foreign assets. The continued erosion of foreign assets has been a source of worry for the government, which has been attempting to control expansion of domestic credit, in order to arrest the erosion. In order to arrest the declining trend of net foreign assets and gross foreign exchange reserves, a 50% LC margin requirement on all imports other than industrial raw materials and inputs was imposed, to discourage nonessential imports. • Default Culture: This is the most common problem in our banking sector. This is practiced by some of the corrupted businessmen, which in turn creates liquidity problems. For the PCBs. • Bureaucratic Red Tape: Banking sectors face this problem rigorously due to delay decision making on the part of central bank or relevant ministry of Government.. This hinders banks from taking quick decisions regarding any sort of policy applications. • Failure to gain confidence among mass people: Most of our compatriots are not well educated. In the grass route level, they rely on the nationalized commercial banks despite of their poor services. The mass people still rely heavily on the NCBs not only for their wide networks compared to PCBs but also from the phobia that the PCBs may collapse. • Government hostile policies towards newly establish banks: Government policies towards the 3rd and 4th generation banks are not congenial to their operations. Governemnt decisions for withdrawing funds from these banks is such an example for this. • Foreign bank’s strong financial and operational base: this is no doubt that the foreign banks are performing well in terms of their service quality due to their sound financial strength, market research and variety of product offerings. PCBs with their limited strength and capabilities working hard to compete side by side. • Nepotism: As a part of overall financial system, PCBs are not out of this trend. This is sometimes reflected in their poor service quality. • Director’s undue influence: This is such a problem, which is always overlooked. The directors very often intervene in the activities of the management, which in turns results in the delay implementation of decisions. • Liquidity problems: Many of PCBs, mainly the recent ones faces liquidity crisis time to time in their daily operations. This is happened not only due to their unsound financial structure, but also for the fluctuating applications of monetary and fiscal policies. • Lack of two-way communication system: In fact, most of the PCBs are too conservative. The creativity is not encouraged in many cases. For this reason, the PCBs are confined in the circle of conservatism. The new ways of thinking are discouraged very often. • Delay in decision making in terms of loan sanction and selection of customers: Still now, the process of selection of appropriate clients and loan sanction process, is so lengthy. This Discourage the potential clients very often. It should be smoothen. • Lack of freedom in operational activities: the operations of PCBs are very tightly monitored by the Bangladesh bank. It imposes restrictions on the free movements of the sector. • Growth of Leasing Sector: Govt. recent policies encourage the massive growth of leasing sectors that pose threat to the leasing operations performed by some of the banks. The leasing companies urge Govt. to allow them to perform general banking activities plus to put restrictions of leasing services performed by the banks. • Lack of Govt Support: Govt plays a dual role in this case. Govt is talking about financial sector reform in one side, and poses various restrictive policies on the operation of commercial banks on the other. Some modifications in loan classification and loan default criteria were brought about during the year. The overdue accounts that were previously termed as “adversely classified” were changed to the status of simply being “overdue”. This step was taken by the after the last elections, where many of the overdue account clients were listed as defaulters. As per the revised criteria, continuous, demand and term loans would be overdue from the day immediately after the repayment date of the loan/installment. Term loans for over five years, short-term agricultural loans and micro credit will be overdue after six months from the repayment date. The period after which an overdue loan would be adversely classified, was extended by three months, when it would become “substandard”. In all the above cases, the borrower will be treated as being on loan default after six months from the date on which the date on which the loans became overdue. This means that they will be considered loan losses after twelve months from the repayment date. In order to ensure integrity in the determination of net profit and value of assets shown in the balance sheets of scheduled banks, the government placed certain regulations. Policies were issued requiring treatment of the difference between the book and market value of shares and debentures of private enterprises. Banks were asked to create provision against investment-related losses, as other assets. The gross proportion of defaulted loans of scheduled banks as percentage of total loans declined from 39.7% to 33.7% over 2000/2001, as a result of constant attention to portfolio management and credit discipline. Net investments in different government saving schemes by the public increased by 30.4%, reflecting increased demand for financial assets. As per the Bangladesh Bureau of Statistics (BBS), gross domestic savings increased by 6.94%, and gross investment increased by 7.24%. To summarize the monetary and credit situation, domestic credit rose by 17.65%, exceeding the expectations of growth of 14.44%. Private sector rose by 16.87%, compared to expectations of 13.08%. Time deposits also rose, by a substantial 18.12%. In the reserve money situation, loan reserves went up by only 1.85 %, compared to expectations of 7.27%. Bank credit went up by 18.1%, compared to previous year’s increase of only 10.3%. Of the components of credit, advances went up by 16.5%, while bills purchased and discounted went up by 55.2%. The credit/deposit ratio of scheduled banks went up from 0.72 to 0.76, at the end of 2001. Scheduled banks’ borrowing from Bangladesh Bank went up by 1.8%, while their balance with Bangladesh Bank went up by 13,6%, in the fiscal year 2000/2001. The Cash Reserve Ratio (CRR) was held constant at 4.00% of total demand and time deposits. The Statutory Liquidity Reserve (SLR) of the scheduled banks remained unchanged at 20% of total demand and time deposits. The remaining 16% was assigned to investment in liquid securities, held mostly by the Bangladesh Bank in the form of T-bonds, at relatively low yields. The Bank Rate remained unchanged at 7.0% throughout the year. In order to discourage concentration of a major share of the bank’s credit with a small number of individuals/groups and limit risk exposure, ceilings on disbursement of large loans were prescribed, from October 2000.
million and Tk.1,56,136 million registering Capital and Reserve growth of 32%, Deposit growth of 18% and Advance growth of 17% during the period. In 1996 the PCBs handled Foreign Exchange Business of Tk.160,274 million that doubled in 1999 to Tk.324,149 million showing the average growth of 27% in Foreign Trade Business. This may be observed that the second generation PCBs, on an average, has relatively higher performance growth records in respect of key indicators compared to the first generation PCBs. The main reason may be attributed to higher operational returns from investments and also that the first generation PCBs required increasing quantum of bad debt provisioning from the operational revenue. The newly set up (Third generation) PCBs, however, are yet to come up with reasonable performance standard excepting a few of these Banks. In consultation from the similar study, this is revealed that the deposit base of PCBs in 1990 was Tk.59,880 million that stood at Tk.163,360 million in 1998 as against total Bank deposit of Tk.232,580 million in 1990 and Tk.592,310 million in 1998. The PCBs reached an advances (LDOs) figure of Tk.48,670 million in 1990 and Tk.136,520 million in 1998 as against the aggregate Bank advances (LDOs) of Tk.222,510 million in 1990 and Tk.508,740 million in 1998. In the entire period 1990-98, PCBs recorded an annual average deposit growth of 13.49% and advance growth of 14.05%, the corresponding figures of these are 12.42% and 11.06% for the entire Banks. The percentage growth is 11.83% and 10.67% in case of NCBs and 15.18% and 11.74% in case of FCBs. The above position explains comparative intermediation edge of PCBs on NCBs in respect of deposit and advance growth rates. The PCBs have better advance (LDOs) growth rates compared to FCBs. In the periods of 1996-99, the average funding / deposit utilization ratio (Advance / Deposit ratio) of first and second generation PCBs are found to be 73% and this indicates that there still exists further scope for optimum utilization of funds towards profitably channelising in investment pursuits. The 3rd generation PCBs, being newly set up, have underutilization of fund to a greater extent. The comparative study, however, shows that PCBs and FCBs have better utilization of funds compared to the NCBs. In 1990, PCBs share in the aggregate deposit and total advance were 26% and 22% respectively, these in 1998, increased to 28% and 27% representing gradual increase in market share of PCBs in deposits and advances (LDOs). 10.2 Geographical Distribution of Deposits and Advances: The share of Dhaka and Chittagong divisions in total deposits of PCBs was 79% (Dhaka 58%, Chittagong 21%) in October ’99 and other 4 (Four) administrative Divisions contributed only 21% (Khulna 4%, Rajshahi 5%, Barisal 2% and Sylhet 10%). The share of first 2 (Two) divisions in total advances of PCBs was 89% (Dhaka 68% and Chittagong 21%) and only 11% by the rest 4 (Four) divisions (Khulna 5%, Rajshahi 3%, Barisal 1% and Sylhet 2%) as on 30-09-1999. These indicate that mobilization of deposits and disbursement of loans by PCBs have in effect been concentrated in Dhaka and Chittagong divisions and the remaining 4 (Four) divisions are having less access to credit compared to the respective shares in deposits that speaks of regional weaknesses of business / investments and economic activities. The similar scenario prevails in case of NCBs and FCBs. In the year 1999, the PCBs accumulated around 9.5% of the total deposits from rural areas (29.4% for NCBs) out of that extended credits of a negligible portion of deposits that is 2.2% (18.5% for NCBs), indicating that of nature of flow of resources from the rural to the urban areas of the country. The segmentation of markets for Banks have been made clear, that is, NCBs have developed better strength in the non-urban and rural segments of the economy over the PCBs. 10.3 Deposit Mix: The Fixed / Time deposits constitute 45% for the PCBs’ total deposit whereas current deposit constitutes 19%, savings deposits 27% and short term deposits (STD) 9% as on September 30, 1999. The similar picture prevails in case of NCBs and, FCBs comparatively mobilized higher quantum of deposit in current accounts (26%) and lower volume in fixed deposits (FDRs) (39%) that in other words explains the base for lower cost deposit mix for FCBs compared to that of the NCBs and PCBs. 10.4 Network of Branches: The PCBs had a total of 1,153 Branches in 1998 representing 19% share in total branch network in the country as against 61% share held by NCBs, 19.60% by SFIs and 0.48% by FCBs. In 1988, the PCBs share in branch network was around 14.14%, that was 65% in case of NCBs. The NCBs have the largest branch network and nevertheless the PCBs branch expansion has taken place at a faster rate. 10.5 Sectoral Distributions of Advances: In analysis, covering the sectoral distribution of advances (LDOs) – PCBs concentrated in trade sector and made 45.40% of advances in this sector (25% for NCBs) in 1999, PCBs share in industrial Term Loan and working capital financing constitutes 27.50%, that is 45% in case of NCBs. The PCBs are lagging behind in financing agriculture and agribusiness (1.47%), the main reason as may be observed is that the PCBs have poor connection to the rural economy because of the slower expansion of the rural branch network. 10.6 Employment Generation: The PCBs have created good employment opportunities for fresh, bright and educated young generation of the country. The increase in the number of Banks and Bank-Branches and the gradual increase in the volume of businesses- fresh avenues for employment have been opened up for the educated and well-groomed group. We may cite that in 1988, the PCBs had manpower strength of 14,810 and that stood at 22,526 in 1998 representing 22% of total banking employment as against 61% employment in NCBs, 16% in SFIs and 1% in FCBs. 10.7 Foreign Trade Finance: The PCBs share, in import business and import refinancing was higher compared to the combined businesses of the financial intermediaries (Banks) in the country. The share in import trade was 50% for the PCBs in 1998, that was 34% for NCBs, 13% for FCBs and mere 3% for the SFIs. In export financing PCBs share is increasing day by day that was 22% in 1990 and came to 35% in 1998 and maximum disbursements were made in the exports of readymade garments sectors that stands at was 69% of the total exports handled and routed through the PCBs. 10.8 Profitability: The PCBs generated an operating profit (income – expenditure) of Tk.4,748 million in 1999 as against Tk. 2,313 million in 1996, recording an annual operating profit growth of 27%. In the periods covering 1988-98, the PCBs had earned an average annual net profit (after Tax) of Tk.575.10 million that was Tk.142.60 million for NCBs, Tk. 683.50 million for FCBs and a net loss figure of Tk.1844.80 million in case of Specialized Banks. The PCBs average annual net profit growth during the period was 16.76%, that was 34.57% for FCBs. The average annual profit growth, however, was negative in case of NCBs (-6.58%) and Specialized Banks (-235.49%). The PCBs and NCBs had net loss situations during the period 1990-93. The situation arose because of implementation of the reforms measures – the result of introduction of the loan classification standards and provisioning in 1989 by the Central Bank for that the Banks were not allowed to accrue interest on classified loans and had to make provisions for NPAs : substandard / doubtful and bad loans – having significant impact on Banks interest income and capital. The profitability data as above signifies that PCBs and FCBs have operational efficiency compared to that of the NCBs. The study of net profit per employees during the period of 1984-1997 reveals that though FCBs have the best performance records but for PCBs per employee net profit was higher than that of NCBs. 10.9 Financial Discipline Capital: In compliance par the revised policy decisions suggested by : FSRP, Commercial Banks need to maintain capital structure minimum of 8% and out of that minimum 4% as core capital based on the Risk Weighted Assets (RWAs). The shift in policy decision to Link Capital from liability approach to asset approach is a major breakthrough in Bangladesh to raise the Local Banks in reaching to the level of the international standards. This is observed that, though PCBs initially failed to comply with the capital requirements and subsequently could maintain the capital adequacy – these signifies good financial discipline ensuring protections of depositors interests and the value for the shareholders having sound health for the Banks. In course of elaboration: in 1996 PCBs total capital was 80% of the required capital and that came to 110% in 1998, indicating marked improvement. The NCBs, however, could maintain 81% of capital requirements and that was 168% in case of FCBs during the year 1998. Income statement: The main thing in the income statement is the income and the expense of an organization. In the banking sector the majority of the income comes from the interest and then from other investments made by the bank. Southeast Bank Limited a suggested by the income statement gives a clear idea of how the income and the expense are behaving for the last four years. It shows that its income is always higher than the expense which is definitely a positive sign for the Bank. Its income is gradually increasing and simultaneously the expense is also rising due to the increase of business. Due to the healthy position of its net income after tax, the Bank is able to pay dividends to its shareholders and even keep some amount of money as retained earnings. Balance Sheet: The balance sheet of SBL shows that it has pretty strong asset position. It is also financed heavily with debt and this is because it is a common characteristic of every banking institution to be financed more with debt. This happens because it has deposits that is a liability for the bank. SBL on an average has approximately 95% debt finance while the rest financed by the shareholders that is equity financed. Although the fixed asset of the Bank has decreased than before, but the current assets and other assets have gradually gone up which ultimately made the total asset to gone up. As bank is a service-oriented company, it does not need huge amount of fixed assets, but it needs to have healthy position in its current assets which Southeast Bank does possesses. Cash flow Statement: The cash flow of the Bank shows that SBL has a good healthy cash inflow from operating activities for the last four years. The investment activities shows that for the last four years the Bank has a cash outflow from investment activities and this is mainly because the Banks has been investing a lot of money in different places like securities, deposit accounts and etc. The Bank in the last four years had a cash inflow from financing activities only in the year 1999 due to the deposit of share money. Except that the Bank is having cash outflow from financing activities due to the payment of dividend to the shareholders of the Bank. The Bank had a net cash inflow for most of the time but in the last year the bank experienced a net cash outflow due to the cash outflow from investing and financing activities. The huge amount of investment in securities and other places and the large payment of dividend is the main reason behind this net outflow of cash during the year 2002. Vertical Common Size Income Statement: From the vertical common size income statement, it can be seen that the percentage of income expense of the interest income over the four years have been going down, which is a good sign for the Bank considering the fact that the Bank is able to spend less on interest on the different kinds deposits. This has ultimately increased the net interest margin of the Bank. Although the Bank has been experiencing increase in the net interest margin, the non-interest income has been going down due to the percentage increase in non-interest expense. Expect these tow things all the other things like provision for loan loss, tax and other things has been quiet the same and the net income after tax on an average is approximately 16.5% of the interest income. Vertical Common Size Balance Sheet Statement: From the vertical common size balance sheet statement it is found that the cash position of the Bank as a percentage of the total asset is more or less on an average is 12% which if compared with some other PCB is quiet in the lower end. The investment securities of SBL shows that, the Bank is concentrating quiet a bit on its investment securities because the portfolio of investment securities is quiet high than some other banks. On an average, it is found to be close to 12% of the total asset over the last four years. As mentioned earlier, the majority part of the asset of a bank comprises of loans and advances. So the loans and advances of SBL shows that on an average it has been maintaining an average of about 63.5% of the total asset which seems to be in the higher side because most of the PCB seems to have lower percentage of loans and advances. This makes the Bank to possess less other assets which is around 2.5% of the total asset while other banks seems to have it around 6-7% on an average. It is also mentioned that the every bank is debt financed by almost 90-95% and the majority of the liability comes in the form of deposits mix. Southeast Bank Limited is debt financed by almost 95% whose deposit comprises of almost 70% on an average of the total liability and equity position of the Bank. The other 15% of the liability comes from non-deposit borrowings and other liabilities. But on the other hand, some of the PCBs deposit is only about 55% of the total liability and equity, although its debt finance is more than equity part. The rest of the liability comprises of other liabilities and only about 3% comes from equity financing. Due to the perfect mix of assets, liabilities and equity, the Bank is able to operate pretty smoothly till now. The key objective of any bank is to maximize the value of its shares, which represents their obligation to the shareholders, for the use of their equity. Share performance becomes an important indicator of their overall efficiency, as it is publicly traded. A bank that has low earnings capacity cannot provide shareholders with value, whether in dividends, or in high share prices. A close look at the dividend trend shows us that SBL dividend per share has been more or less in a stable position for the last 4 years. The earnings per share have been rising from 1999 until 2001 which again dropped in the last year. It is thus, not surprising that SBL’s share price has followed somewhat stable position but in the last year it fell again although the Bank is earning well. The rate of return flowing back to SBL’s shareholder, it can be seen that Return on Equity has been growing from 1999 till 2001 and in 2002 it fell again due to the fact that the income in 2002 was less than the previous year and more shares have been issues in 2002 which ultimately increased the equity portion of the Bank. In order to look closer into the efficiency of SBL, one of the major factors behind its success, focus must be given to other aspects. It can be clearly seen that, over the years, SBL has faced considerable pressure in terms of rising interest rates on deposits which they have efficiently managed to cope up with charging higher interest rates on loans and advances. The table below reconfirms this suggestion. Looking into the earnings spread of SBL, it can be observed that SBL has not been able to raise the spread but continuing to carry on with the same spread. From this, it can be inferred that SBL has been able to control its interest rates on loans or on deposits, despite of the strong competition in the banking industry. Further into the efficiency aspects, the non-interest margin, which measures the spread between the revenues from services provided (fee income), and its non-interest cost (salaries and wages, repair and maintenance, and loan loss expenses) can be focused. From this, we can see that SBL has been successful at controlling internal costs, whereby the difference between service fees and internal costs has been in a stable position. But the margin fell in 2002. They have been successful at providing services that generate fee income. Therefore, it can be assumed that it is due to their expense control strategies, that SBL has been able to steadily increase its net bank operating margin, even in its competitive environment. SBL’s expense control efficiency will be discussed later in the report. The shift of focus is now to another aspect of SBL’s performance, namely the Return on Assets. The Return on Assets shows a clearer picture of SBL’s over the last 4 years. From here, it can be reconfirmed the trend that SBL’s earnings have been on the rise. From this, it can be inferred that SBL boasts managerial efficiency, increasing the rate at which assets are being converted into net earnings. As the banking industry of Bangladesh has become saturated, and extremely competitive, SBL has turned to non-interest income sources to increase its asset utilization ratio. From this it can understand that the management of SBL has been able to construct sound portfolio management policies, with respect to the mix and yield of the bank’s assets. To look into the composition of SBL’s assets, with reference to the earning assets, its earning base in asset can be focused. This shows that SBL’s earning assets has been increasing over the last four years which is a good sign and the reason for its good income. SBL has been increasing its proportion of loans and investments over the last 4 years. It can clearly seen a rise in their earnings base, meaning that the bank has been growing, even in the event of extreme competition and uncontrollable environment. Their success at growth can be considered a powerful indicator of their strength in the market. This speaks well for their expansion prospects. The loans and advances of SBL has a steady growth rate with 2002 having a good growth as new branches are opened in some of the important cities of Bangladesh and due to rise in business, with the base rising steadily over the years. Another aspect of growth for SBL is the growth in deposits, which reflects their acceptability and image in the market. From the table above, it can be seen that there has been considerable growth in the deposits of Dhaka Bank although it fell during the year 2001. The growth has been at a rate of 32.01% on average, every year. The management stated that due to the government-imposed restriction on large loans to single clients, known as the “Single Exposure Problem”, they have been restricted in their growth in the case of loans. The restriction is that no single client can receive a loan worth more than 50% of the equity unless they are sanctioned by the Bangladesh bank on a very special case. Another performance evaluator used by SBL is the Credit/Deposit ratio, which is the ratio between earning assets and charging liabilities. Compared to the industry average, which recently moved up from 0.72 to 0.76, SBL Bank has indeed outperformed to industry and their projected ratio shows that it will move close to .90 within 1-2 years which is quiet an outstanding performance. Further on, the tax management efficiency of SBL is examined, which shows the bank’s effectiveness in using different tax-management tools in order to create tax shelter for the bank’s earnings. This ratio is pretty low, meaning that the management of SBL has not been able to reduce it tax exposure over the years. Here, they have failed to monitor and control taxes, in order to protect earnings. The efficiency in one area has been undermined by their inefficiency in another. When inquired about this issue, the management claimed that the government had redefined tax rates, for which tax expenses had gone up. The table below shows the growing proportions of tax on SBL. It can be can clearly seen that SBL is facing greater proportions of tax exposure year after year. As mentioned earlier, SBL has maintained strict controls over their expenses over the last 4 years. The table here shows that the management has been able to monitor its internal expenses over the years, in order to overcome its relative lack of control over the external expenses. The earning potential of SBL is investigated by looking into its growth rate. With reference to previously mentioned factors like EPS, DPS and internal growth rate of the company, it can be can understand that SBL has an average growth rate. One of the most important aspects of measuring the bank’s performance is to look at its capital adequacy ratio. It can be seen that SBL has maintaining quiet a good capital adequacy ratio of the risk weighted assets over the past few years. Before the capital adequacy ratio that bank’s have to maintain according to Bangladesh Bank was 8% but from 2003 onwards, it is fixed at 10%. So, it is a kind of challenge for SBL to take its capital adequacy ratio to 10%. It is predicted that with the inclusion of Right Share subscription money amounting to Tk.165 million, the capital adequacy ratio of the Bank will further improve to 9.63% of the total risk weighted assets. Some other areas which would enable to measure the performance of the Bank even further are discussed below. This shows that the Bank due to the expansion of business has increased the number of correspondent banks with whom more and more business can be done and in the same way the number of foreign correspondents has also increased which gives the idea that the Bank is doing well in the international arena also. Due to the expansion of business, the number of branches of the Bank has also increased over the two years. They have increased the branches of the bank for the convenient of the clients. This helped the Bank to get more business in different cities of Bangladesh and also helped the bank to make a strong customer base. Recently in the year 2003 the Bank has opened 2 new branches with the concept of Islami Banking in order to attract customers. The number of shareholders over the years has also increased significantly, which further gives light in the fact that the share price of the Bank has been good which has attracted the shareholders to buy shares of this Bank. From this it is clear that if the price of the share increases, it is probable that the performance of the Bank is good. CRISL has assigned A- (single A Minus) Rating to Southeast Bank Limited in the lomg term and ST-3 Rating in short term on the basis of Bank’s strong fundamentals, asset quality, profitability, growth rate, consistent efforts to maintain capital adequacy and required liquidity. Financial Institutions rated in this category are adjudged to offer adequate safety for timely repayment of financial obligations. The short term rating indicates good certainty to timely payment. Liquidity factors and company fundamentals are sound. Although ongoing funding needs may enlarge total financial requirements, SBL’s access to capital and financial markets is good to address the finance need. Risk factors are modest, however, variable in periods of economic stress. The success of a dynamic banking institution depends largely on the quality of services rendered to the clients. The quality of banking service depends on the quality and accomplishment of Human Resources Division of the bank and also on the quality of its staffs. Success in the banking sector requires efficient and maximum possible service out of the employees if the bank. A bank for proper functioning needs to identify the current and future human resource need through the manpower planning. The recruiting authority of any bank should be careful in selecting the right person for the right kind of position. Recruitment procedure follows evolving an appropriate manpower planning approach in a particular period of time in determining the movement of an organization from a particular position to the desired position ensuring the right number and the right kind of people at the right time. While doing the manpower planning to work out the optimum requirement of manpower, Southeast Bank’s growth objective as well as expansion plans are taken into account. The main objective of this project is to analyze the recruitment procedure of Southeast Bank Limited on the basis of its existing Recruitment Policy of the Bank in order to show how a private commercial bank recruits its employees for different positions. The objective of this project is also to find the effectiveness of the recruitment procedure of the bank. Both primary and secondary sources of data were used towards the completion of this project. The main primary source of data was the interview with the top-level management of the bank who are in charge of the Human Resources Division. Some lower level officers and staffs of the department were also interviewed regarding some vital information. But secondary data were more important and useful while doing this project. The secondary sources of data that were used are the Employees Service Rules of the bank, manpower planning procedure and other documents related to human resources division. Books, magazines, articles and etc. were also used. The scope of this project is only to determine the recruitment procedure of Southeast Bank Limited. The recruitment procedure in this project covers recruitment only for the banking staff. By doing this project, it will help to understand how a private commercial bank recruits employees according to its needs and what the policies for recruiting. This project will also help to know the work of the Human Resources Division in a more vivid manner. The company will be able to know what the drawbacks and lacking that they have in their current recruitment policy and procedure and what are the ways by which they can adopt in order to improve their recruitment process which will enable them to select the best human resources for the Bank. i. Human Resources Division is a vast area and in order to gain knowledge regarding this department the time allocated in the internship is not enough. ii. In was not possible to concentrate only on the project part during the internship program because other duties and responsibilities should also have to be done. iii. All the data are not available while doing this project. The bank, like any other organization has some confidential information regarding their strategies and policies that are not disclosed to everyone. The Human Resources Division is one of the most important parts of any organization. This is the department that deals with the whole manpower planning of the organization and without proper manpower planning an organization will not able to work in a smooth manner. So, it is very important for any kind of organization to have a good solid Human Resources Division. The formal Human Resources Department (HRD) of Southeast Bank Limited helps to introduce fair and consistent Human Resources Management (HRM) policies and practices throughout the organization to deal with its present and potential workforce. This department is one to the most important and busy department of SBL. This division plays a vital role in the staffing part of the management strategies of the Bank as well as complying with all the aspects of HRM. The division is headed by a Vice President and sub-headed by an Assistant Vice President. Altogether approximately 22 employees works under the supervision of the two heads of the department. These employees have a very friendly relationship between them and work hard towards the betterment of the Bank. Most of the employees are very much suitable for the kind of job they are performing in this department which helps the Bank to be more efficient. Recruitment, Selection and Placement: The major function of HRD in every organization is to recruit and select personnel according to the needs of the company. In the same manner, the major function of this department is recruitment and selection of manpower. This is done according to the rules and regulations of the Bank. This function is the post-recruitment procedure of the Bank. After every employee is recruited, he/she joins the HRD of the Bank from where they are transferred or placed to the required or vacant position where they are needed. Training and Development: The Bank gives utmost importance in training to build up quality manpower at each and every level. It regularly organizes various training courses at different training institutions. Among these institutions, Bangladesh Institute of Bank Management (BIBM) is one of the most important institute where most of the employees of the Bank are send to get training on different banking issues and topics. The employees who are send to these institutes are basically the fresh and lower level employees of the Bank to get he basic knowledge about general banking functions. Under the Executive Development Program (EDP) of the Bank, mid and upper level employees of the Bank are selected to take part in International Training Programs, Seminars, Workshops etc. organized by different well known financial institutions and others. These Executives of the bank are send to different parts of the world like USA, England, Singapore, Thailand, Hong Kong, Malaysia, India and other countries. Manpower Planning: This is one of the most important and major work of the Human Resource Department. The whole efficiency and proper distribution of human resource to each and every department of an organization is carried out by this division. So it is very important that the manpower planning of any organization is up to the standard. This department plans, distributes, organizes all the activities related to manpower of the Bank. One of the most important job of this department is to forecast the need for manpower for the coming year and update the need of manpower position of the Bank all the time. Performance Appraisal: Another important activity of the HRD is appraising performance including setting out standards, assessing the employees’ actual performance relative to the standard and providing feedback to the employees with the aim of motivating them to eliminate the problems that they have and to perform better in the future. Records of Employees: The record of each and every employees of the bank are kept and updated by this department. This is because this department looks after the manpower of the bank and deals with the promotion and that is why it is necessary to keep all the record of the employees from joining the bank till retirement or resignation. Approval/Processing of Leave: The processing and approval of all kinds of leave of each and every employee of the Bank is done through this department and all the leave record of the employees are also kept by the HRD. Advertisement and Press Release: This division also manages the different press releases, promotional activities, business activities, donations and etc of the Bank. Disciplinary Actions: By this it means that the HRD has to look after all the matters that are related to the discipline of the Bank. Like it has to take actions regarding illegal absence, bad behavior, illegal works and etc. It is the work of the HRD to take the necessary steps and decisions regarding those illegal issues that take place from time to time. Reporting to the Board: The HRD also prepares the Board Memo and reports to the Board regarding related matters. Maintenance of Service Rules: The division maintains and ensures the proper utilization of the Employees Service Rules. 1. All appointments to the service of the Bank shall be made by direct recruitment as per recruitment policy / criteria or by promotion as may be approved by the Bank Management / Board of Directors from time to time. 2. Recruitment procedure follows evolving an appropriate manpower planning approach in a particular period / year in determining the movement of the Bank from a particular position to the desired position ensuring the right number and right kind of people at the right time. (1) If the applicant is not a citizen of Bangladesh provided that this may not apply in the cases of employees engaged abroad or in the cases where the Board has allowed specific exception. (2) Unless a qualified medical practitioner (approved by the Bank) has certified the applicant, to be mentally and physically fit for service. (3) If the applicant has been dismissed removed, or services have been terminated for reasons reflecting his or her non-integrity, dishonesty or immorality. (4) The age limit of the applicant should be within the range of 18 to 30 years. Candidates age limit may be relaxed at the discretion of the management / Board. Criteria for appointment of all categories of employees shall be determined by the Bank Management / Board of Directors from time to time. The Bank shall give priority consideration for recruitment of fresh graduates ready to accept challenges of banking career. According to the Grading/marking policy, each candidate has to appear for a written test. The subject matter of the test will be General Aptitude based along with General Knowledge, Arithmetic and English. Code numbers will be used to “ensure secrecy” and to avoid “undue persuasion”. Candidates securing 60% marks in written test will qualify. (1) For any direct recruitment in the operational cadre as in case of experienced ones, minimum educational qualification requirement is graduation. 1) The applicant should have BBA/MBA degree from a reputed educational institution with a minimum of 9 points for BBA and 11 points for MBA throughout the academic qualification with no 3rd (third) Division/Class in his/her academic record. 2) Minimum CGPA 3.00 or above from IBA/NSU/ or any other reputed/recognized/local/foreign University as may be deemed fit by the Bank Management / Board from time to time. 1) The applicant should be at least a Master Degree holder in Commerce, Economics, Statistics, Mathematics, Physics or English from a recognized educational institution with minimum 10 points. No 3rd (third) Division/Class shall be accepted. 1) The applicant should have Master Degree from a recognized educational institution. 2) Minimum 8 (eight) points are required. 1) The applicant should have a Master Degree from a recognized educational institution. 3) The candidate should have sound knowledge in computer. As per recruitment policy of the Bank, experienced Executives/Officers may be appointed from time to time, after proper scrutinization of the application received from the eligible candidates. The Management/Board of Directors may directly interview them. Advertisement and Application Collection: The bank usually advertise in the daily newspapers for the purpose of external recruitment and also collects CV that are dropped by different individuals regarding job in the Bank. Sorting out of Application: Applications that are collected are sorted according to the recruitment criteria and the others are rejected that doesn’t fulfill the required criteria. Preparation of Preliminary List and Issuing Interview Cards: After all the applications are sorted out, the information regarding each and every applicant is inserted in the computer and a database a made combining the entire potential candidates. When all the information is properly inserted, interview card is issued for every interview in order to call the applicant for the written test. Announcement of Written Test: The applicants who are sorted out and listed, the interview card are send to those candidates and are informed to sit for a written test. Commencement of Written Test: The candidates have to appear for a 40 marks written test based on Genera Aptitude along with General knowledge, Mathematics and English. The candidates securing 60% mark in this written test will qualify for the interview. A list of all the candidates will be made who qualified for the interview. In the case of recruitment of experienced bankers, the Management will directly interview them. They don’t have to sit for any written test. Interview: The candidates who qualified in the written test are the one’s who sit for the interview. The interview consists of 36 marks. These 36 marks are distributed in 5 parts, 7 marks for Appearance and Personality, 8 for Knowledge and Related Field/Subject, 7 for General Knowledge, 7 to test the Analytical skill of the candidates and 7 for communication skills which is very important for any kind of job and for the proper flow of information. Background Investigation: The candidates who showed satisfactory performance in the interview are again sorted out and then their backgrounds are investigated by contacting their former employer, referees, verifying their educational background shown on their application and etc. Preparation of Desirable Candidates List: After the backgrounds of the candidates are thoroughly investigated, the most suitable and desirable candidates are selected for the required posts. Final Approach by the Management: After the list is prepared, a further formality is required. The Management finally approves the list in order to recruit the candidates for the required posts. Appointment and Placement: This is the final step in the selection process. The successful candidates in the preceding steps are finally offered for appointment. They are formally offered by an appointment letter for the particular post where all the details regarding payment and other things are mentioned. After the candidate accepts the appointment letter, he/she is finally placed in the vacant position of different department or posted to the branches where the recruited person finally starts his/her official duties. It is very hard to find an organization that follows the exact procedure that is written in the policy. In the same manner, SBL doesn’t follow the exact procedure that is written in the policy guide. The actual recruitment procedure is somewhat different from the written one. The actual situation of the recruitment is shown in this section. 17.1 Determining the need for recruitment: Different division and branches of the Bank determine the requirement of manpower at the beginning of each year by Manpower Planning Process. The required number of employees depends on workload, on the volume of deposits and the volume of business. At the beginning of each year, all the divisions and branches of the Bank are asked by the Human Resources Division to provide with a chart that will show the existing situation of the workforce and the required workforce for the particular division and the branches. On the basis of the above planning, required employees would be supplied either by lateral recruitment or by external recruitment. It may also happen that some employees who are access in other branches may also be transferred to the branch where they are needed. For different levels, different number of posts has to be vacant before the bank Management proceeds for recruitment. For the higher level in the hierarchy, the Bank recruits personnel if 1 or 2 posts are vacant. As the level goes down, the number of vacant posts on the basis of which recruitment is made usually increases. The number, however, is not fixed and changes from time to time. For example, if the posts of MD, DMD, SEVP, EVP or VP are vacant, persons are recruited in each post only for one vacancy. These posts are mainly filled by promotion from within and if necessary by lateral recruitment. For the posts of SPO, PO, EO and etc. more than 5 posts have to be vacant before the Bank goes for recruiting new people. These posts are mainly filled by the combination of internal and external recruitment. For the entry-level posts such as Management Trainee or Trainee Assistant Officer and etc. the Bank goes for recruitment if more then 10 posts are vacant. These posts are filled by external recruitment. Advertisement: The use of this source of recruitment is very limited. Advertisement is generally used to recruit min or entry-level fresh entrants and when there is a need for quiet a few numbers of people. But announcement of recruitment for any level/post may be made through advertisement but that depends totally on the decision of the Management. As in advertisement, it is always not possible to give all the details about the particulars that are required for the post, the Management does not encourage it. Pending CV: This source is the most common course of recruitment especially for the lower level fresh entrants. CVs are collected or it comes to the HRD throughout the year without any announcement as it is a common way for people to get a job in any organization. People who seem to be eligible are called for written test and may be interviewed when there is a need for manpower. Interns: Interns of the bank are also a source of recruitment. But this type of recruitment is very rare and it only happens when there is an immediate need for people and if the intern is very much efficient and skillful and has prior job experience. Walk-in Interview: For recruiting upper level and mid level experienced bankers the Bank announces to attend walk-in interviews. It is usually done when there is an immediate need of people and it also takes a very short time. Recently SBL has introduced Islami banking and most of the people who are appointed for these Islami banking branches have been recruited through walk-in interviews. Head Hunting: Upper level experienced bankers are usually recruited by this source. Bankers from other banks are offered attractive posts with attractive compensation packages because it is very hard to attract experienced bankers from other banks if proper post and good compensation package is not offered. Recommendations/References: Lower level and mid level fresh entrants are recruited mainly through this source. It is one of the most common and highly used sources in recruiting people for different posts. CVs that are pending and have recommendation are also given more preference than others. Bottom level employees like messengers and Guards are mainly recruited by the help of this source. Contract and Temporary Basis Recruitment: To accomplish a particular kind of job for a particular period in the Head Office, persons are usually appointed on contract or temporary basis. Such kind of jobs includes Board Auditor, Board Secretary, Engineer, personnel for IT department and etc. This section is covered in order to give the reader a vivid and practical idea of how the Bank actually recruits people for the different levels/posts. Only the banking staffs are taken under consideration, recruitment of the casual staff of the bank is ignored. Recruitment that has taken place till July 31, 2003 is covered in this part. 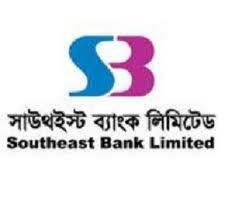 Southeast Bank Limited is one of the most reputed local banks in Bangladesh that is serving the people in a very efficient and quality manner. In order to do better and serve the people in a better way, it has to diversify its business throughout the country and introduce more and more new products and services. Therefore it must expand its branches to the main and important cities of Bangladesh where it could do business more and earn a greater profit. It already introduced Islami Banking to two cities in Bangladesh according to the needs of the people. It has been found out that there is a shortage of manpower in every level/post of the Bank and thus the bank is facing problems in performing its operations in a fluent and efficient manner. So there is need for people in order to compensate the shortage and smooth functioning of the Bank. As the branches are expanding, business is also increasing day by day and the need for manpower is also increasing simultaneously. In this year some new branches have been opened and more branches are supposed to be opened shortly due to the expansion of business and need of the people. As a result the bank is recruiting quiet a few numbers people in order to balance the need of manpower in those new branches that have already opened and will be opened shortly. Other than this Southeast Bank Limited is going to recruit another 70 people for the post of Management Trainee (MT) and Probationary Officer. Among there 70 people, 30 will be MT and the rest 40 in the post of Probationary Officer. This is the third time that the Bank is going to recruit externally fresh graduates in such a big number by giving advertisement in the paper. They are recruiting these fresh graduates especially to fill the gap that they have and in order to supply manpower to their newly opened branches and the one’s that are going to be opened soon. The recruitment that have taken place till July 2003, have been done using different kind of sources. The recruitment of the of the Executive Vice President, Assistant Vice President, Principal Officer and Executive Officer all were done by head hunting. They were recruited from other well-known banks working as experienced bankers. The Senior Principal Officer was a case of internal recruitment which means that he was recruited from within the bank. He was working as Principal Officer and then he was promoted to the post of Senior Principal Officer. All the 3 Probationary Officers were recruited by recommendation. The Officers and the Junior Officers were also recruited as a process of head hunting and they were mainly recruited from well-known Islami banks that are operating in this country and the reason for their recruitment is the introduction of Islami banking branch of Southeast Bank Limited. Among the Assistant Officers and the Trainee Assistant Officers, 10 were recruited by recommendation and the rest 6 were recruited from pending CVs. All the Messengers were recruited by references by other staffs of the bank who are relative of those staffs. The 70 fresh graduates that are going to be recruited soon are done by advertisement. It has been found that approximately 44% of the recruitment in 2003 had been dome by head hunting. This happened because most of the posts were of higher level and they were all experienced bankers. Approximately 32% of the recruitment was done using references and most of the people that were recruited were of lower level except the post of Probationary Officer. It has been found out that every year the maximum numbers of people that are recruited are by recommendation and not only lower level employees are recruited but mid level employees are also recruited by this source. 15% of the people were recruited by using the pending CVs dropped by job seeker for various kinds of posts. On average every year quiet a number of people are recruited by this source. By using this source, the Bank can select the best CV and recruit the best person for a particular post. Around 8% of the people were recruited by Walk-in Interview and all of them were Bank Guard recruited mainly for the new branches that are opened in 2003. Only 1% of the people were recruited by using Internal source that is from within the Bank.  Not enough manpower in the HRD and as a result 1 employee have to deal with many works at the same time which ultimately reduces efficiency.  1 work is done again and again and as a result the processing time of a simple work takes a lot of time.  Work is not properly distributed among the employees this means that one work is done by many people.  Power of delegation is not appropriate. It has been found out that 1 person is doing a lot of work while another person is sitting idle which is hampering the effectiveness of work.  One of the most important problems in the HRD is that they don’t have enough resources like computers, printers, photocopy machines and other related things that are needed for routine work which are important for smooth functioning of the department.  Unable to use the right type of software in keeping the records of the employees and other related records of the Bank.  Pressure of work from other department is often given to the HRD and this ultimately hampers the routine work of HRD.  Lack of proper utilization of the written policy.  Not all the policies for recruitment are suitable for everyone that is the policy is not open for all and as a result, many people may not be taken into consideration due to the policy.  Increasing dependence on references in recruitment can create bias in the selection process and ultimately end up with recruiting the wrong person.  Lack of trained recruiters is one of the problem for which testing of an applicant during the selection process remains incomplete.  The Human resources Division does not get the full power or responsibility in recruitment for which the process cannot be done in a systematic manner.  Inefficiency in the Top-Level management is one of the major problems in the HRD for which the efficiency of the division is suffering seriously. Every organization do faces a lot of problems and they must find the right way to deal with those problems. The faster they will be able to solve those problems the better it is for the organization.  Every department should do its own job by utilizing its resources in the right manner and should not depend on other department.  The work should be properly distributed by the top management who is in charge on the department and should be monitored on a regular basis to see the progress on a particular assignment.  The recruitment policy should be revised and formed considering everyone, which will help to allow people to get chance to apply for job who were regretted before.  The Management should be strict in following the right policies that are written and if it is done properly than effective result will definitely evolve out of this.  The IT department should play a string part in improving and upgrading the computer system of the organization and should assist all the department as well as the HRD in building the correct software to keep the records.  More emphasis should be given on the quality of the candidate rather than depending on the references and recommendations.  Regular and proper job analysis is a must in order to determine who is appropriate for what purpose and in which place.  The recruiter should be experienced and qualified in order to ensure good recruitment.  The source from where recruitment is done should be properly selected based on the need of the organization. The right source should be used on the right time in order to ensure good and effective recruitment.  Responsibility of the Human Resource Division should be increased in order to reduce recruitment cost, biases and to bring efficiency and effectiveness in the recruitment process. Right after establishing an organization’s strategic direction and developing an employment plan, it has to turn its attention or has to focus on getting the right kind of people in order to carry on the operations of the organization. Proper recruitment has always been the most important element of success of any organization. If the proper people are selected for the right post, it enhances the ability of the organization to do better in the industry. The process must be given priority and existing staff strength must always be upgraded by making ongoing effort to find the best personnel. Southeast bank Limited with its current staff structure is doing quiet well but if it does restructure its staff strength then it will face more problems in the future. To be more effective in this sector, the Bank must first determine the optimum number of employees that is needed for the Bank for smooth functioning. It must also choose the correct sources of recruitment. Proper utilization of the Human Resources will ensure long-term stability and better performance of the Bank. The principal reason banks are chartered by state and federal authorities is to make loans to their customers. Bank’s are accepted to support their local communities with an adequate supply of credit for all legitimate business and consumer activities and to price that credit reasonably in line with competitively determined interest rates. Indeed, making loans is the principal economic function of banks-to fund consumption and investment spending by businesses, individuals and units of government. How well a bank performs its lending function has a great deal to do the economic health of its region, because bank loans support the growth of new businesses and jobs within the bank’s trade territory and promote economic vitality. For most banks, loans account for half or more of their total assets and about two-thirds of their revenues. Moreover, risk in banking tends to be concentrated in the loan portfolio. When a bank gets into serious financial trouble, its problems usually springs from loans that have become uncollectible due to mismanagement, illegal manipulation of loans, misguided lending policies or an unexpected economic downturn. The main objective of this project is to analyze the performance of the loan portfolio of Southeast Bank Limited and also its credit policies which would show how the private commercial banks of Bangladesh lends to different kinds of clients. One of the other objectives of this report is to find out how effective is the loan recovery system of Southeast Bank Limited. Both primary and secondary sources of data were used towards the completion of this project. The main primary source of data was the interview with the different level of employees in the credit department of the Head Office of Southeast Bank Limited. Relevant files study that were provided by the officers concerned with credit department were also used. Books, magazines, articles and etc. were also used. This project is limited to only explaining some of the major parts of credit policies and analyzing the performance of some of the major credits that are offered by the bank. This project will allow gaining knowledge about lending policies and procedures of private commercial banks. It will also help to understand how the loan portfolio of Southeast Bank Limited is performing in comparison with other banks. This project will help SBL to understand if they have any lacking in the lending procedure and will also help them to get an idea of how the different kinds of credit that that are offering id performing and will help them to find out ways of how those loans can perform better. Credit is one of the most important parts of a bank. In order to get vast knowledge regarding this sector, time is needed. Three months internship program is not enough to gain enough information regarding this topic. Working in the credit department was not possible as the internship program was done in the Human Resources Department and it was not possible to concentrate only on the project because other duties in the HRD had to be done. Due to two project part, some lacking may be there as concentration was not given to both of them in the same manner. Some of the data are very confidential and as a result, those information were not revealed. All data regarding were not available and could not be collected due to the shortage of time. The credit department of any banking institution is one of the most important and busy department that has to do a lot of work and the work that are done in this department are very risky and importance. The risk is not in the sense of physical but tremendous mental works have to be done here. Southeast Bank Limited currently has approximately 30 people working in the credit department of the head office, which is the head of all the branches and from where all the credit facilities given to the clients are sanctioned and monitored. The credit division is headed by an Executive Vice President and two Vice Presidents under whom all the other staffs of the credit department holding different positions are working. Each and every work in the credit division is properly distributed to the subordinate staffs and it is possible because the work in the credit division is very systematic. The Credit Division of Southeast Bank limited is divided in two parts. (i) General Credit (ii) Corporate Finance. Analysis and appraisal / evaluation of credit proposals for approval of Credit Committee: This means that when a client place a proposal for credit, that proposal is first analyzed in order to see if the client is credit worthy or not and then approved by the committee that appraises the credit proposal. Preparation of Board Memo: After the credit committee has approved the credit, a memo is prepared in order to get the approval of the Board. Communication of Sanction Advice: This means that when a credit is placed in any branch, the branch manager or the concerned officer who is handling the loan must communicate with credit department of head office where the loan will be reviewed and then if the loan is feasible they head office will give sanction advice to the concerned officer of the branch to give the credit to the client. Preparation & Submission of periodical returns to Bangladesh Bank: The credit department has to submit all the returns that they get from the loans and give a brief report on their proceedings on a periodical basis to the Bangladesh Bank. Analysis, appraisal / evaluation of credit proposals: All the corporate loan like industry, commercial and other big loans are analyzed and evaluated by this department. Processing Credit proposals for approval of Credit Committee: This is the same as above where the credit proposal has to be processed in order to get the approval of the credit committee before the sanction of corporate loan. Preparation of Credit Information Memo (CIM) for Board: Same as above expect the fact that the credit for which the memo is placed before the board is of corporate nature. Communication of Sanction Advice: Same as above but the sanction advice here is for the corporate loan. Southeast Bank Limited offers different types of credit facilities to its clients comprising of both general and corporate credit. General credit comprises of facilities like consumer scheme, working capital, demand loan and etc. The corporate credit portfolio comprises of all the credit that are of long term. Loans may be a demand loan, time loan or a term loan. Demand loan is payable on demand which is allowed for a short period of time to meet short-term working capital need. But SBL uses the demand loan for import finance. While opening the letter of credit (L/C), the bank offers this loan to reduce the L/C margin. After the L/C document arrives, the client is requested to adjust the loan and retire the L/C document. At the time of providing the demand loan, the L/C stands as security. Time Loan is payable within one year. This loan is generally provided to the clients where finance is required for a specific business deal. Like the bank may provide time loan to a client to procure a particular machinery. The loan is disbursed in one or toe installments abd the same amount has to be adjusted within a year in lump sum or through installments as per specific repayment dates. Depending upon the purpose time loan is generally secured by hypothecation of marketable goods and mortgage of properties. Term loan is allowed for one year to five years, usually for capital expenditure such as construction of factory building, purchase of new machinery, modernization of plant and other long-term projects. This kind of loan is very selective in SBL. This type of loans must be approved through the Board of Directors due to the fact that there is a huge amount of finance related to this kind of loans. Overdraft is an arrangement between a credit officer and his customer by which the client is allowed on the basis of prior arrangement to overdraw his current account by drawing cheques for amount exceeding the available balance up to an agreed limit within certain period of time but not exceeding one year against acceptable securities. This is a temporary accommodation of fund to the client. This is operative credit facility extended to the client as working capital finance for trading and manufacturing business and also finance against work orders. Specific limit covering the sanctioned loan amount is given on client’s current account. Client is allowed to overdraw and maintain regular transaction upto this limit in his current account. The drawing power of the client depends on the sanctioned amount and margin stipulation. Specific repayment dates are given within which client has to adjust his overdrawn amount. Hypothecation of stocks, assignment of bills and mortgage of properties generally secure the overdraft facility. This facility may be extended to the borrowers against pledge raw materials/ finished products a security subject to credit and margin restrictions imposed by Bangladesh Bank from time to time. In this case, the client signing a duly stamped Letter of Pledge surrenders the physical possession of goods under the effective control of the Bank. The ownership of the goods still remains with the borrower and the outstanding liabilities are to be adjusted out of the sale proceeds. This facility may be extended to the borrowers subject to credit and margin restrictions imposed by Bangladesh Bank from time to time, on the client signing a duly stamped Letter of Hypothecation creating a charge against the raw materials/ finished goods/ plant and machineries etc hypothecated to the Bank as primary security against the advance. In this case both the ownership as well as the physical possession of the goods hypothecated remain with the borrower who binds himself by an agreement to surrender the physical possession of the goods to the Bank as and when called upon to do so. The Bank only acquires a right over the goods hypothecated. The Bank, therefore, generally request the borrower to furnish collateral securities by way of legal or equitable mortgage of immovable property and/ or third party guarantee where it seems fit to the Bank. Discount: banks allow advances to the clients by discounting bill of exchange/promissory note which matures after a fixed tenor. In this method, when the bills of exchange is submitted by the client, a margin (covering also the interest on the loan) amount is deducted from the face value of the bill and the rest is provided to the client. At maturity of the bill, the same has to be presented to the drawer for full proceeds of the bill through which loan is adjusted. Separate bill discounting account is created. The bill of exchange itself is held as the primary security collateralized by the equitable mortgage of property. Purchase of Bill: Banks also make advances by purchasing bills, instead of discounting, which are accompanied by documents of title of goods such as bill of landing or railway receipts etc. In this case, the Bank becomes the purchaser/owner of such bill which are treated as security for the advance. This is allowed primarily relying on the credit worthiness of the client. Bills under L/C (BLC): Advances against bills under letter of credit are originated from the lodgment of shipping documents received from foreign banks against letter of credit established by the Bank. Loan against Imported Merchandise (LIM): Under this type of credit facility, the Bank releases the imported goods through the nominated clearing agent of the Bank. In this case, Bank holds the possession if the goods. Importer takes delivery of the goods from the Bank’s warehouse against payment. It is one type of forced loan. The imported merchandise pledged to the Bank provides the primary security that is sometimes collateralized by equitable mortgage of property. The following points are taken into account while allowing advance against the security of imported goods. Storage of imported goods under LIM facility may be allowed for specified time as prescribed by Bangladesh Bank/ Head office of the Bank within which period the importer should take delivery of the goods against payment. Generally, part delivery is not allowed from LIM account. This may however be allowed only on special terms and conditions. While creating forced LIM, manager should satisfy that forced sales value will cover the outstanding LIM, if not, arrangement should be made to recover the liabilities through sale of goods. Prior approval of the Head office is to be made for creating forced LIM. Trust Receipt (TR): Advance against trust receipt to the client is to release shipping documents for taking delivery of merchandise that is hypothecated to the Bank. This kind of loan is only provided to very selective clients only. Sometimes as per earlier arrangement or under compelling situation, Bank allows valued clients to retire the L/C documents without adjusting the demand loan or outstanding BLC. The documents are provided to the client after transferring the outstanding liabilities to TR account. Packing Credit: It is one type of export finance. Packing credit is a short-term credit granted by the Bank to an exporter to facilitate purchase of raw materials for the purpose of manufacturing processing, packing and exporting the finished goods. The credit is granted after the evidence of a letter of credit or a firm contract in favor of the borrower and against the security of inventory purchased by the borrower. This loan is provided at low interest rate as per instruction of the Bangladesh Bank. The packing credit is adjusted through the export proceeds. The export L/C becomes primary security for the loan. The loan is sometimes collateralized by equitable mortgage of property. Letter of Credit (L/C): A Letter of Credit is a commitment taken by the Bank to pay an agreed sum to the seller of goods on behalf of the buyer (client) under specific defined condition. This is a non funded facility provided to the client for import of goods from abroad or in some cases to produce them locally. Once the Bank receives the L/C documents as per specified terms and condition of the L/C, the amount is transferred to the bills under letter of credit (BLC) account. As per commitment, Bank pay the seller of goods through the seller’s bank and settles the outstanding BLC amount from the client before handling over the L/C documents to him. Bank Guarantee: Bank guarantee is also a non funded credit facility provided to the client. The Bank on be half of the client undertakes to pay agreed amount of money at certain time if client fails in due performance. The accepted standards relate to safety, liquidity and profitability of the advance whereas the dynamic factors relate to aspects such as the nature and extent of risk, interest on margin, credit spread and credit dispersal. General guidelines about the conduct of advances are issued by Head Office. In all business dealings, officers and employees must be guided by the principles of honesty, integrity and safeguard the interest of the depositors and shareholders of the Bank. They should strictly adhere to the Banking Laws, Rules and Regulations of the Government of Bangladesh, the instructions issued by Bangladesh Bank/Head Office from time to time which affect the business practices of the Bank. However, the key to safe, liquid, healthy and profitable credit operation lies in the quality of judgement used by the officers making lending decisions and their knowledge of the borrowers and the market place. For the sake of sound lending, it is necessary to develop a sound policy and modern lending techniques have to be adopted to ensure that loans/advances are safe and the money will come back within the time set for repayment. For this purpose, proper and prior analysis of credit proposals is required to assess the risk. Lending itself is risky and the very purpose of analyzing the risk is to locate /identify the risk obtaining possible precaution. While deciding a loan proposal one is to judge the degree of risk in a given situation. Banker’s ability in taking prior measures to minimize the risk involved is very important. To do this a Bank must follow the Principles of Sound Lending. In formulating a credit judgement and making Quality credit decisions the lending officer must be equipped with all information needed to evaluate a borrower’s character, management competence, capacity, capital, ability to provide collaterals and external conditions which may affect his ability in meeting financial obligations. i. To place a high priority on the QUALITY of credit exposure, new proposals must meet Bank’s credit criteria and existing portfolio should be under constant review for improving risk positions. ii. Maximization of profit is the basic aim of the Bank, as such every profit opportunity should be explored and professional skills employed in this direction. iii. Growth towards the size of customer base through constant alertness towards profitable business opportunity. iv. To avoid unnecessary wastage of time and energy, clear, concise and summary type communication should be used. v. To be thoroughly familiar with the Bank’s policies and functions. vi. To put every effort in reducing and containing the size of classified advance portfolio. vii. To keep the expense burden on credit operations to the barest minimum and endeavor to improve the cost efficiency of credit operations. viii. To contribute one’s best in all matters where his approval, concurrence or other actions is involved. ix. To avoid all temptations which may jeopardize or compromise the Bank’s risk assets. To safeguard Bank’s interest over the entire period of the advance, a comprehensive view of the capital, capacity, integrity of the borrower, adequacy, nature of security, compliance with all legal formalities, completion of all documentation and finally a constant watch on the account are called for. Where advances are granted against the guarantee of a third party, that guarantor must be subjected to the same credit assessment as made for the principal borrower. The basic security valuations will be expert third party assessments, current market price and forced sale value. While making lending decisions, particular attention should be given to the analysis of credit proposals received from heavily leveraged companies and those dealings in non-essential consumer goods, taking special care about their debt servicing abilities. I. Present and future business potentiality for optimum deployment of Bank’s fund to increase return on assets. II. Preference for self-liquidating Quality business. IV. Risk dispersion is basic to sound credit principles and policies. Bank should be careful about large and undue concentration of credit to industry, one obligors and common product line etc. V. Managing the amount, size, nature and soundness of one obligor exposures relative to the size of the borrower and Bank’s position among his other lenders. VI. Personal guarantees of the principal partners or the Directors of the companies and where necessary, subordination agreement should be obtained. VII. Recognize impact of fee income through Remittances, Letter of Credit, Letter of Guarantee, Foreign Exchange business in enhancing return on assets. VIII. The asset-conversion or transaction flow cycle and the net-trading cycle of the customer i.e. the terms on which they conduct the business. Evaluate the past performance of the borrower. Determine the major risk factors and how they have been mitigated in the past. Identify factors in the borrower’s present condition and past performances which may foreshadow difficulties or indicate likelihood of success in his ability to repay the loan at a future time. Having identified the nature of risk involved and how these can be mitigated, make a reasonable forecast of the probable future condition of the borrower and conclude on his ability to service the proposed level of debt. Assess the borrower’s credit worthiness and prepare a proposal for structuring a credit facility that can be repaid or amortized given the borrower’s assets or his projected Cash flow and the facility offering adequate protection against loss and control of the lending relationship. Modern concept of lending pre-supposes a well-developed loan proposal. It will cover as many as six pertinent factors like Management, Organizational, Technical, Marketing, Financial and Economical. These are technically known as feasibility or viability study of a loan proposal. By studying all these factors if a credit officer is satisfied about the viability of a loan proposal, then he/she can finance it i.e. grant for lending otherwise not. “Project Appraisal” means pre-investment analysis of an investment project with a view to determine its commercial and socio-economic feasibility. It is an essential tool for judicious investment decision and project selection. It is the prime step in the process of decision making in respect of sanctioning any loan by financial institutions. Distribution channels and marketing policies in use. 24.1.5 Economic Appraisal: Economic appraisal also referred to as social cost benefit analysis, is concerned with judging a project from the larger social point of view. In case of certain rural projects like irrigation projects, power projects, transportation projects or other infrastructural projects-social cost benefit consideration is as important as and sometimes more important than commercial profitability considerations. The procedure followed by Southeast Bank Limited in order to give credit facility to its client is very lengthy and quiet complicated. After receiving the loan application form, Southeast Bank Limited send a letter to Bangladesh Bank for obtaining a report from them. This report is called CIB (Credit Information Bureau) report. This report is important if the loan amount exceeds Tk. 5 million. But SBL usually collects this report if the loan amount exceeds Tk. 1 million. The purpose of this report is to inform that whether the borrower has taken loan from any other bank and if yes then whether these loans are classified or not. Then after receiving CIB report from Bangladesh Bank, if the Bank thinks that the prospective borrower will be a good borrower, then the Bank will scrutinize the documents. In this stage, the bank will check whether the documents are properly filled up and signed. Except this, the branch has to send the proposal to the Head Office where a minute will be prepared and submitted before the Executive Committee (EC) and there that minute have to be passed. For withdrawing the loan amount, the customer creates a C/D account and the loan is transferred to the C/D account from where the customer can withdraw the money. Documentation is one of the major aspects of credit functions of Southeast Bank Limited. The main income generating activity of a Bank in Bangladesh is providing credit services to customers preferably in a secured manner. The charge in securities against credit facilities is created through execution of relevant documents formalities and as such, the Bank can largely at a future date fall back the securities held for recovery of the dues. Besides, documents are the physical embodiment of liability. It is to be ensured that documents should be prepared and executed according to the law and should not confront with the rules and practice of Banking. Consequently, documents should be drafted and executed under the supervision of professional lawyer/legal adviser. Documentation formalities against loans and advances should be properly completed prior to extension of the facility to safeguard the Bank’s interest. Complete and correct documentation enables the credit officer of SBL to take legal resource against the borrower in case of non-realization of dues. 1. Charge documents are preformatted and printed required to create charge on securities against loans and advances and the documents are provided by the Bank to the client for execution. 2. Legal documents are legal papers provided by the client, certifying the legal status of the borrower, borrowing power, tile to goods and property, legal deeds and power of attorney related to creation of charge on securities. Demand promissory note: Demand promissory note is an unconditional written promise made by the borrower to the Bank to repay the amount of loans/advances at a fixed or determinable future date along with interest at a stated rate. Letter of arrangement: The borrower acknowledges the Bank’s right to cancel the facility allowed at any time without assigning any reason and with or without prior notice. Letter of continuity: The borrower undertakes to remain liable on the demand promissory note and other loan documentation even if the liabilities are fully or partially adjusted during the tenure of the credit facility and even though the account may show credit balance from time to time. Letter of revival: The document refers to the law of limitation whereby documents become time barred after 3 years from the date of execution. The period of limitation within which a suit for recovery of the overdue loans/advances to be filed is the ordinary period of 3 years from the date on which the facility was extended. The limitation period for mortgage is 12 years beginning on the date of the mortgage deed. According to the provisions of stamp Act 1899, all documents chargeable with duty shall have to be stamped adequately and properly before or at the time of execution. An unstamped and insufficiently stamped document cannot be admitted in evidence or cannot form the basis of a regal suit. Judicial: Judicial stamps are used in the court for filing suits and for judicial noting and are not required for loan documentation. Non-judicial: Non-judicial stamps are used for deeds, agreements, undertakings and power of attorney. Adhesive: Adhesive stamps consoling revenue stamps and special adhesive stamps are affixed on various charge documents/forms. Embossed: These types of stamps are used as seal of notary public and organizational stamps. Documents must be executed (signed) by the person(s) concerned competent to do so either in official capacity or in personal capacity as the case may be. In other words, the borrower authorized representative must do execution of documents. Documents to be filled in with permanent ink or be typed. The executants should sign in full according to the specimen signatures kept with the Bank. The documents must be executed in the presence of the Manager or authorized officer of the Bank. The Manager/Officer must verify the signature. If the document comprises of more than one page, the executant should sign all the pages. It is a must to mention date and pace of execution. No documents and no column in a document should remain blank. There should not be, a far as possible, any cutting, overwriting, alteration, insertion or cancellation in any documents. Any alteration under competing situation, however, must be authenticated under full signature by the executants. The date on the promissory note must be the same as on other relevant documents. The following documents are required to be must attested by at least 2 witnesses. Registration is not applicable for all the documents. In the following few cases, registration of documents is necessary to give legal effect to the instruments. 1. The assignment of an insurance policy to be registered with the respective insurance company. 2. The mortgage deed vetted by the legal retainer to be registered with the office of the Sub-Registrar. 3. Fixed and floating charges on the assets of a limited company to be registered with the Registrar of Joint Stock Company. Upon completion of all the documentation formalities, documentation checklist to be prepared consisting of the list of the required documents. The checklist should be examined and signed by an authorized officer. Documents should be kept in safe custody generally in the vault. Separate files to be maintained for different customers. Documents movement Register should be maintained under the supervision and signature of an authorized officer. Any other documents as stated in sanction advice. Southeast Bank Limited offers a number if loans in various forms to its customers like demand loans, time loans, term loans, consumer credit scheme, BLC, LIM and etc. These loans are the main source of income which enables SBL to operate so efficiently and effectively. The performance of each type of loan are discussed in this part. Demand Loan: During the year 1999 and 2000, there was no demand loan present in the loan portfolio of Southeast Bank Limited. However, in the year 2001, demand loan stood nearly 1.5% of the total loan but it dropped again to nearly 0.27% during 2002. It can be seen that SBL doesn’t give much importance in this type of loan. The performance of this loan is not up to the standard because the Management doesn’t give much preference to demand loan. Time Loan: Time loan is one of the most important parts of the credit portfolio of any Bank that contributes quiet a lot to the Bank. Southeast Bank Limited also has a pretty healthy term loan position. During the year 1999 and 2000, the position of this loan was pretty stable but from 2000, it is rising at a good rate. The average growth rate from the year 2000 was approximately 105% which is really high. It occupies nearly 12.5 % of the total credit portfolio of Southeast Bank Limited. Term Loan: Term loan is the second most important and highest percentage of the total loan portfolio of Southeast Bank Limited. It nearly holds 24.5% of the total credit portfolio of SBL. It is rising every year in a stable manner and the growth rate of this loan is approximately 46%. It is expected that during the year 2003, this loan will increase to approximately Taka. 400 crore which is quiet a lot compared to other loans that are offered by SBL. Consumer Credit Scheme: This type of loan is gradually increasing in Bangladesh and more and more people are taking this loan for various kinds of purpose. Every Bank in Bangladesh is concentrating more and more in this type of loan as it is very much secured. SBL like any other Banks is also nowadays focusing on this loan. During the year 1999, 2000 and 2001 the growth was pretty stable but after that it took a sharp rise. It is found out that SBL is giving more and more Consumer Credit in the recent times and trying to attract customers by introducing new schemes. Although its contribution to the loan portfolio of SBL is very nominal that is only about 0.25% but it is growing slowly and it is one of the most safest credit that is given to the people. Bills against letter of credit (BLC): Bills against letter of credit is one of most important part of a ban and every bank use to have this in its credit portfolio. Southeast Bank Limited also have quiet a good position in this loan. Although it was higher during the year 1999 and 2000, the loan fall during the next year and the reason behind this was that SBL was due to some default in this loan. But the Bank knows that this is an important business and it had to give this type of loan as the business is huge. But currently Southeast Bank is taking great care in sanctioning BLC. The BLC occupies nearly 6.8% of the total credit of SBL. Loans against trust receipt (LTR): This type of loan was very nominal before the year 2001. During the year 1999 and 2000, this loan was only 0.12% of the total loan portfolio. But in the year 2001, it jumped to nearly 21% of the total loan portfolio and last year it contributed approximately 17% of the total portfolio. This seems that the LTR is growing very fast and it is forecasted that it will continue to contribute nearly 10-20% of the loan portfolio for another 3-4 years. Packing Loan: SBL doesn’t give away this type of loan very much. During 1999 and 2002, this loan was given but that was very nominal. Loan against imported merchandise (LIM): LIM is quiet a common credit given away by nearly all the Banks that are operation in Bangladesh. SBL also give this type of loan but the significant side is that this loan is continuing to fall sharply. This loan was huge during the year 1999 and 2000. But in the year 2001, it fell sharply and is continuing to fall further. Loan against foreign bills: This type of credit is also very much limited and it only consists of only around 0.07% of the total credit portfolio of SBL. Other Loans: The other loans contains Car loan-staff, House building loan-staff and etc. which is also not very high because it is given only to the employees of the Bank and only to the high ranked officers. So ultimately, the clients of this type of loan are the employees of the Bank who are very limited in number. But even then, it is much higher than some other. Although it is usual that due to the expansion of business, branches and employees the amount of this loan is suppose to increase but it shows that it is decreasing gradually. The reason behind this is that SBL according to its new rules has lower the amount of loan that the employees can get from the Bank regarding car and house financing. Cash Credit (CC) and overdraft: The most important part of the loan portfolio is the cash credit and overdraft. This covers nearly 35% of the total loan portfolio of SBL. From this it can be seen that how important is this loan to the Bank as majority of the money are given away in the form of CC and overdraft. This loan does vary from one year to another but this loan is performing quiet well and is increasing very gradually for the last few years. Bills discounted and purchased: This is also another type of credit that is offered by SBL. It is performing quiet well in the loan portfolio and it is in increasing trend. During the year 2001, it did fell little but last year it rose again. Nearly 3% of the total loan portfolio of SBL belongs to bills discounted and purchased. Large and medium scale industrial loan: This loan consists of the entire loan that comprises of the long-term project loan like infrastructure, building, factory etc. This is the type of loan that SBL has not given in large quantity because of the default nature of this type of loan and the problem of recovery. But even then the amount of money that has been given in this loan is quiet large as each investment carries huge amount of investment. On an average the percentage of term loan given away is approximately 11% of the total loan portfolio. Other Private commercial Bank (PCB) percentage of term loan is approximately 15% of the total portfolio which shows that SBL is in the lower side and this is one reason why its classified loan is low. Working Capital Loan (WCL): SBL has been encouraging in giving Working Capital Loan in recent times as it is generally of short nature and the default nature is low in this case. It can be seen that the percentage of WCL of the total credit portfolio is increasing gradually. One reason for this must be also that the demand for WCL in recent times is very high and every bank is trying to provide WCL. The average percentage of WCL for the last few years is approximately 4.5% of the total credit given away by SBL. Export Credit: Export credit has always been the priority of some of the nationalized banks in Bangladesh along with some first generation banks. But recent trends show that export credit has been going down for some times and the reason may be that the world business environment is not very stable. SBL has been offering export credit from the beginning and it didn’t vary much during from the start of its business. On an average, it has been giving approximately 1.5% of the total credit in export finance. Commercial Credit: The credit that every bank provides the most and which brings the highest income is the commercial credit. This is the most because the demand for commercial credit is the highest among the entire loans. SBL’s highest percentage of loan amount all the credits is commercial loan which on an average is approximately 63% of the total loan. It comprises of more than half of the total portfolio. The industry also has approximately 50-65% of its loan concentrated towards different types of commercial loans. Small and Cottage Industry: This sector in Bangladesh is not very prominent and still in the growing phase. PCBs don’t concentrate much in this sector as a result the industry on an average has approximately 1-2% of the total loan in small and cottage industry. SBL in comparison with the industry has only 0.03% of the loan concentrated to this sector which is the lowest among all the credit offered. From the trend analysis over the last four years, it can be seen that the amount of each loan is increasing gradually but commercial loan and other loan is increasing is a very good pace. This is a good sign for SBL in the sense that growth rate of most of the loan is good which means that SBL is getting more and more clients which will help it to generate higher operating income. A classified loan or commitment is one which is classified as substandard, doubtful and loss as per policy of loan classification set by Bangladesh Bank or Head Office of the Bank. Substandard: A well-defined weakness is present in loans of this category which could affect the ability of the borrower to repay. This is clearly a troubled situation for one reason or another that requires immediate and intensive effort to correct and reduce the possibility of loss. Substandard loan position was increasing during the year 1999, then it fell in 2000 after that it again increased in 2001 and then in the last year it fell sharply again and it is projected that it will continue to be in the lower end which is very good for the Bank. Doubtful: A serious doubt must exist that full repayment will not be forthcoming but the exact amount of the loss cannot be ascertained at the time of classification. The last four years trend shows that the amount of doubtful loan is falling gradually and in a uniform manner which is a very good sign for the Bank. The average doubtful loan over the four years period is approximately 0.40 % of the total loan portfolio which is very nominal. Loss: Advances or portions of advances which are determined to be uncollectible based on presently known situation/factors. Although the amount of bad loan is in a very gradual increasing trend, it is balanced with the other two type of classified loan. It can be further seen that the percentage of bad loan of the total loan portfolio is decreasing gradually which is quiet good. Although the amount of total loan has been slowly increasing, it is seen that the percentage of classified loan over the past 4 years has been gradually decreasing. The industry on an average has a classified loan of nearly 10-20 %. Among these the private commercial banks classified loan position stands nearly about 6-10% while the position of the nationalized banks has a classified loan position of about 35-40% which sometimes before increased to nearly 60%. This shows classified loan position in the industry is quiet high but in comparison to the industry and other PCBs, the position of SBL is on the better side of the spectrum. It can further seen that the percentage of unclassified loan is gradually increasing while it was already found out that the percentage of classified loan is decreasing. It does creates a balance between the two and as a result it can be concluded that SBL is doing quiet from the view point of Classified loan. Term Loan: Although the recovery of term loan is very slow but it is gradually increasing due to good loan recovery management present in Southeast bank Limited. For the last four the recovery is taking place in a stable manner with uniform growth which is a good sign as recovery of term loan is not very easy and default is very much in this sector. But it is the characteristics of long-term loan that recovery will be a very slow process. On an average the total recovery of term loan in each year is about Tk. 635 million. This recovery is quiet good if compared with the industry. The recovery of large and medium industry credit is about 450 million every year. Working Capital Loan: According to the information, SBL during the year 1999 and 2000 did not recovered any WCL. But from the year 2001, it began to recover the loan given in this sector which is increasing. But if compared with the industry, its recovery is slow because the industry has an average recovery of almost Tk.200 million each year whereas SBL has a yearly recovery of only Tk.147 million. This is a concerned for the Management but as the amount of loan given in this sector is not very large, they are not in a hurry. Export Loan: The recovery of export loan in the year 1999 and 2000 was quiet stable and growing but from 2001 the recovery jumped sharply which is a good sign for SBL. The export loan recovery every year is approximately Tk.1083 million which is pretty good and it is quiet the same as the industry whose average recovery every year is about Tk.1100 million. SBL is predicting that its export loan growth will increase and as a result, the recovery of loan has to be very effective in order to survive in the industry. Commercial Credit: As the commercial credit comprises of the majority amount of loan in the total loan portfolio and is most important as it gives the highest earnings so its recovery is also very important because classified loan is most in this sector in SBL. The commercial loan recovery is increasing in a good speed although there are defaults. On an average the recovery of commercial loan every year is close to Tk.2550 million, whereas the industry has a recovery of approximately Tk.2200-2800 million on an average. So SBL is within the industry line. Small and Cottage Credit: The small and cottage industry sector is pretty low in Bangladesh and loans provided in this sector are also in the lower end. As the percentage of loan allocated in this sector is very nominal, the recovery is also very small and another reason behind the little recovery is that SBL doesn’t concentrate much is this sector. The average recovery of loan in this sector is about Tk.0.89 million per year. Others Loans: The second most large loan portfolio that makes up the portfolio of SBL is rest of the loans except the above and so its recovery is as much as important as the loan is. The recovery exactly represents the growth of loan of this sector. During 1999 and 2000, the loan was not so huge but then from the next year it climbed sharply. The loan recovery of this sector is also behaving in the same manner as the loan growth. On an average, the recovery of this loan is close to Tk.16542 million. The comparison between the loan shows that the highest recovery loan sector is the Commercial sector after which is the other loans. Although the recovery of the other loan sector is falling, the rest almost have the same kind of recovery but the most important point is that all the recovery is in the increasing phase which is a good positive sign for the Bank. The loan recovery trend in the last four years show that recovery is quiet good. Although the best recovery was in the year 2001, last year the recovery was also good but it was in the lower side and growing slowly. This is one of the most important and crucial sections of the Bank where it has to work in order to recover the loan that it has disbursed to its clients and are still outstanding.  Too many people in the credit department of head office while there is a need of people in the branches.  Absence of some quality people in the junior level of the credit department.  Lack of interaction and communication with some of the other departments in the head office.  Process of giving credit is very much complicated and lengthy making waste of time.  Policies regarding some of the credit that are offered to the clients are not present in the credit policy guide of SBL.  Flexibility and not following the exact policy in sanctioning loan to some special clients by some of the Top-level Executives.  Very much emphasis on commercial loan which has the highest default rate.  Not concentrating on consumer credit scheme, one of the safest credits.  Absence of credit card.  Absence of leasing which is very common in recent times.  Recovery of some of the loan is very slow and inefficient.  Lack of advance software for quick investigation of a loan proposal i.e. measurement of the ratios and other financial performance needed to sanction a loan to a client. Drawback is a work that is linked with every organization and every department no matter how efficient and effective the organization is. Problems will continue to come as time passes and only those organization will be able to survive and dominate the industry that are able to find the cure and get on with those problems. Excess people in the credit division should be removed and placed to those branches that are in shortage of people in their credit division and change those people who are not well for the job. Recruitment of some good junior level executives for the credit department as this department needs the best people because of the kind of work pressure and mental job. More and more interaction must be done with other departments in the head office in order to share views about different issues and problems which might help in the work of the credit department. Revised policies regarding the giving of loan must be made in order to make the process of lending easy, efficient and effective. Policies regarding all the credits that are offered to the clients must be written in the credit policy guide of SBL in full details. Biasness and flexibility towards sanctioning loan to some of the clients must be stopped and strict policy should be followed in order to reduce default. More emphasis must be given in the Consumer Credit Loan as the growth of this kind of loan in the industry is very high and gaining more and more popularity day by day while sanctioning of loan towards the commercial sector should be very selective and strict due to the nature of default. Credit Card should be introduced immediately as the demand for credit card in the market is pretty high and people like to buy on credit rather than cash. The Bank must introduce leasing facilities to its clients as most of the banks are offering this service to the customers and as it still have demand in the market. Good and capable personnel should be placed in the loan division so that the recovery is more effective and faster. Credit is one of the most vital and important parts of a banking institution. It is the prime source of income for a bank. The interest that a bank earns by giving credit covers almost 75-80% of the total earnings of a bank. So it is very important for a bank to concentrate and focus on its credit mix and monitor the credit portfolio all the time to get the best result. Southeast Bank Limited has a quiet a good credit portfolio mix but still have some lacking which might cause problems for the bank in the future because the competition is getting intense day by day.